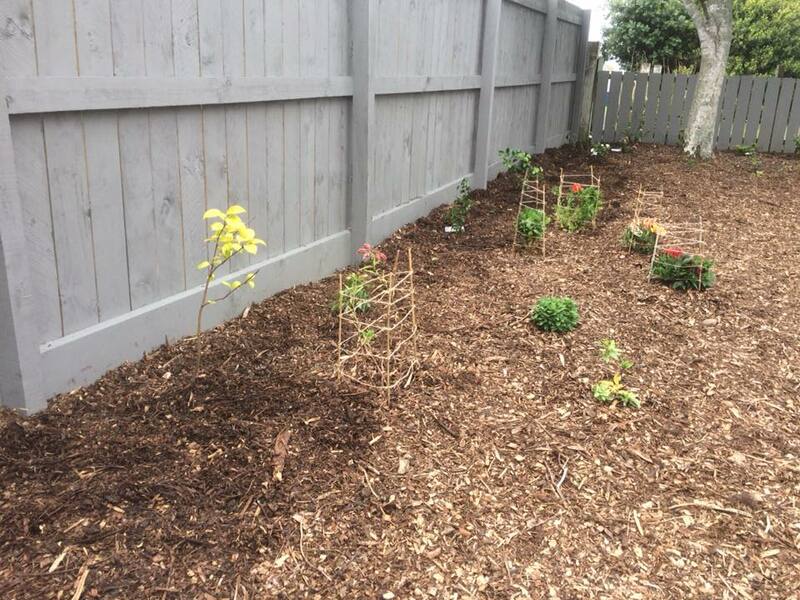 Sometimes our clients hire us to replant their existing garden or build a beautiful new soft landscape from scratch out of a bare backyard. 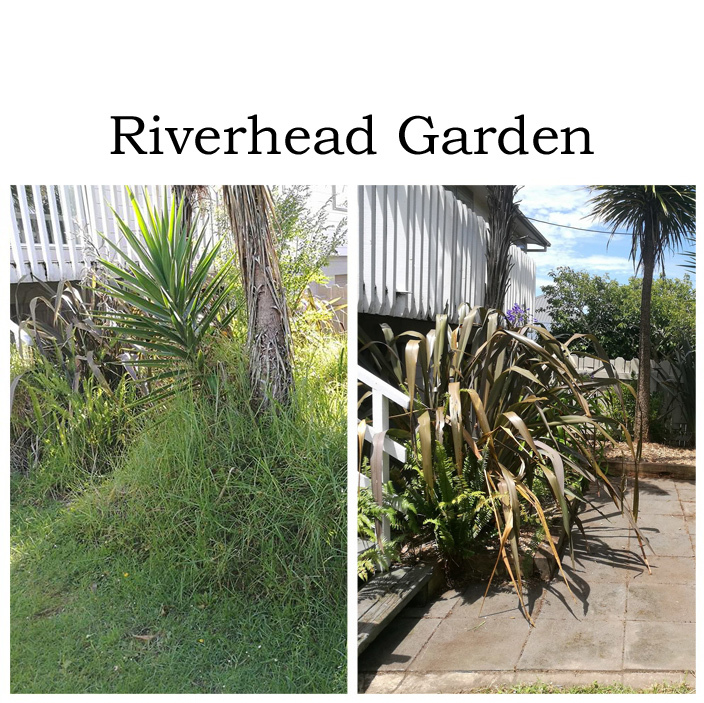 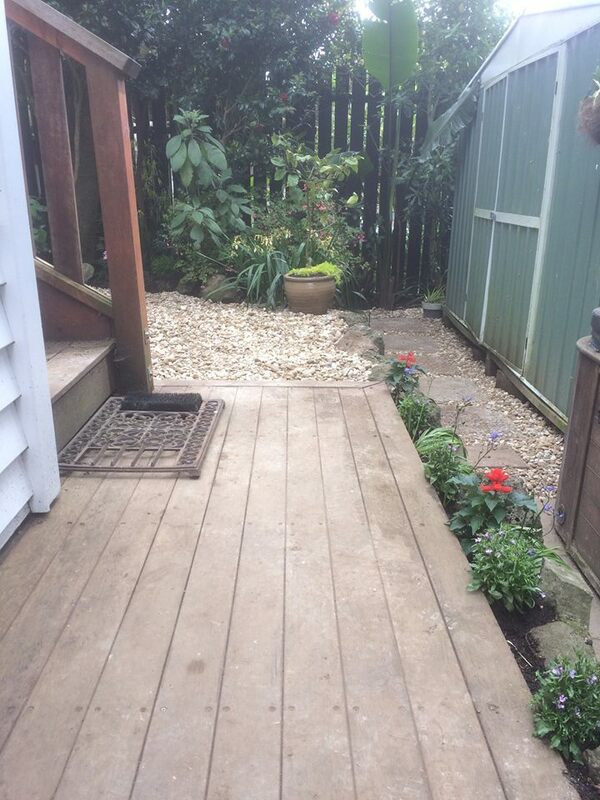 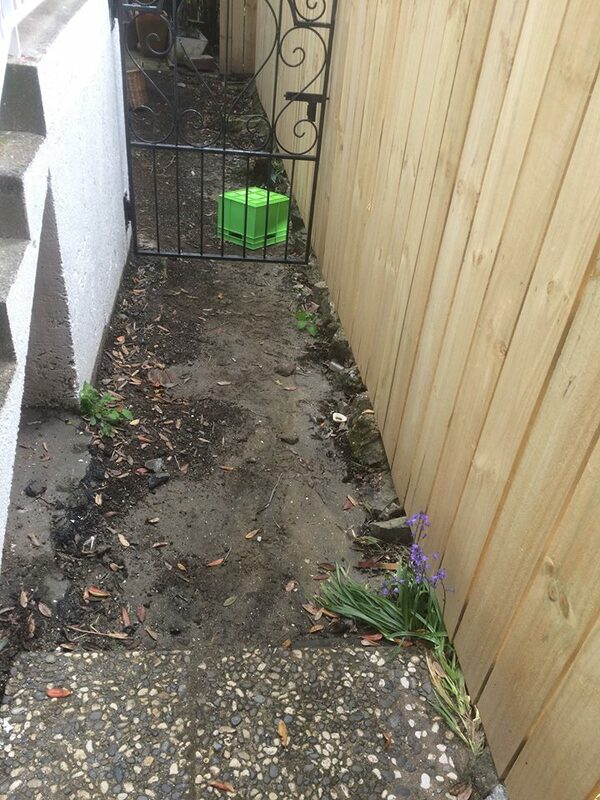 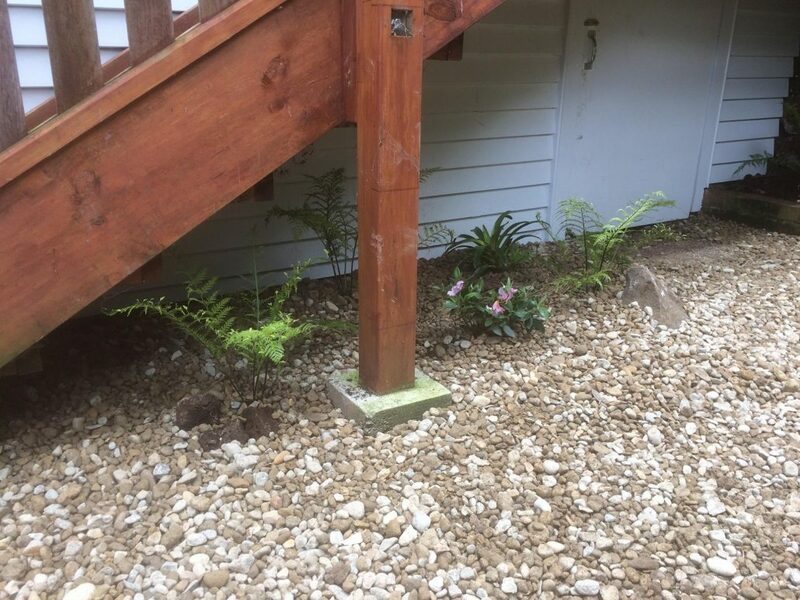 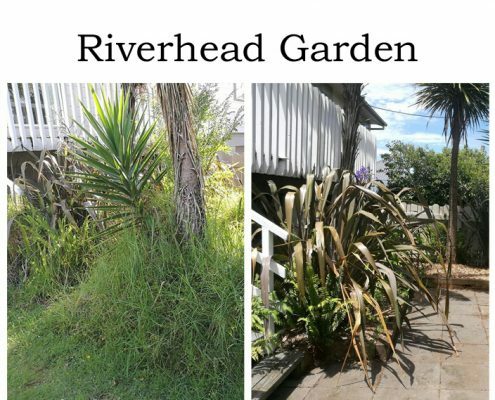 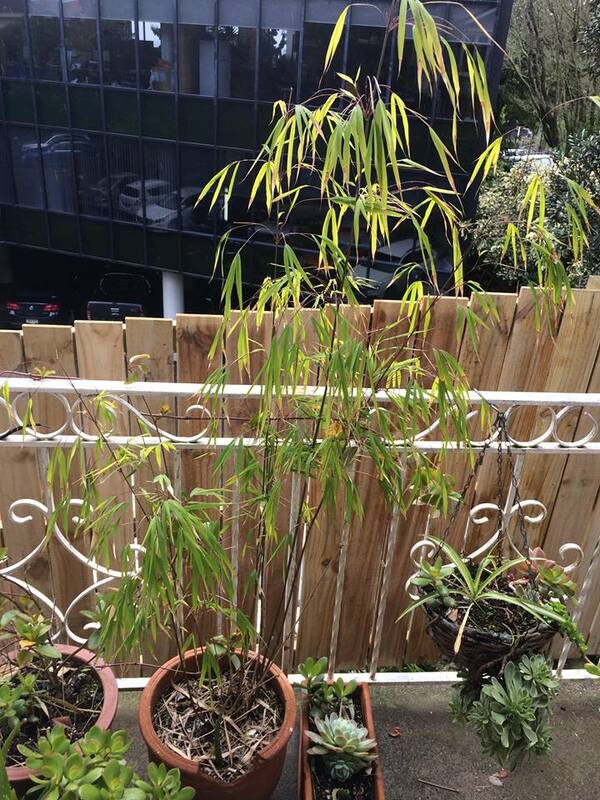 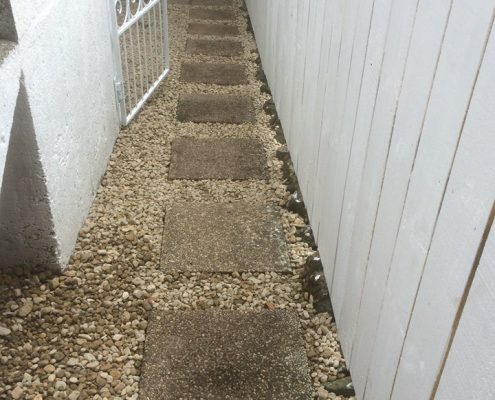 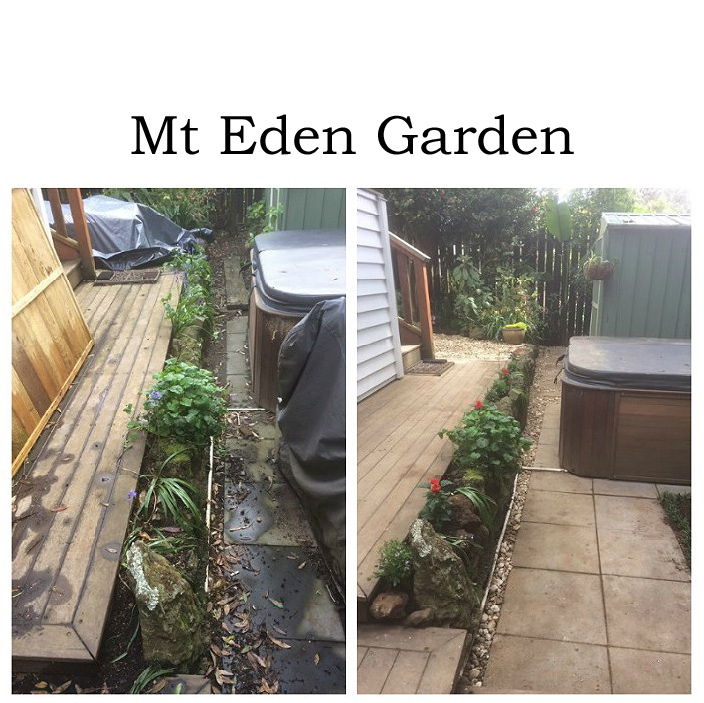 Here are some of our landscape transformations. 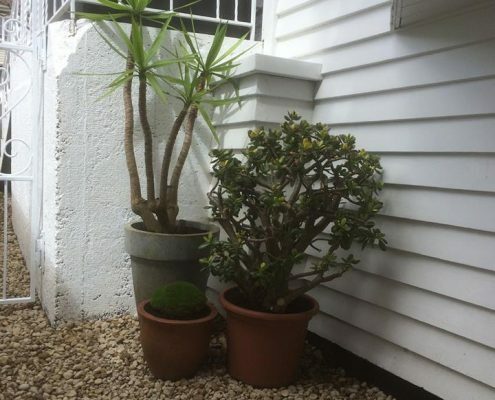 To view a gallery, please click its main image and scroll through. 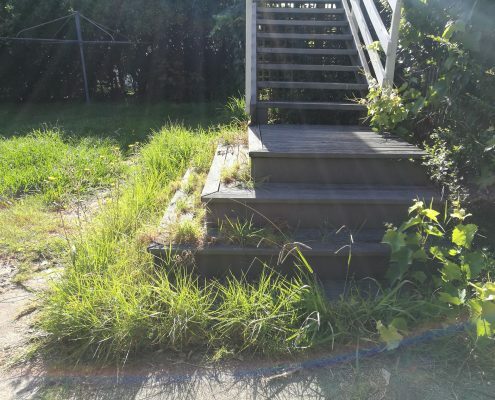 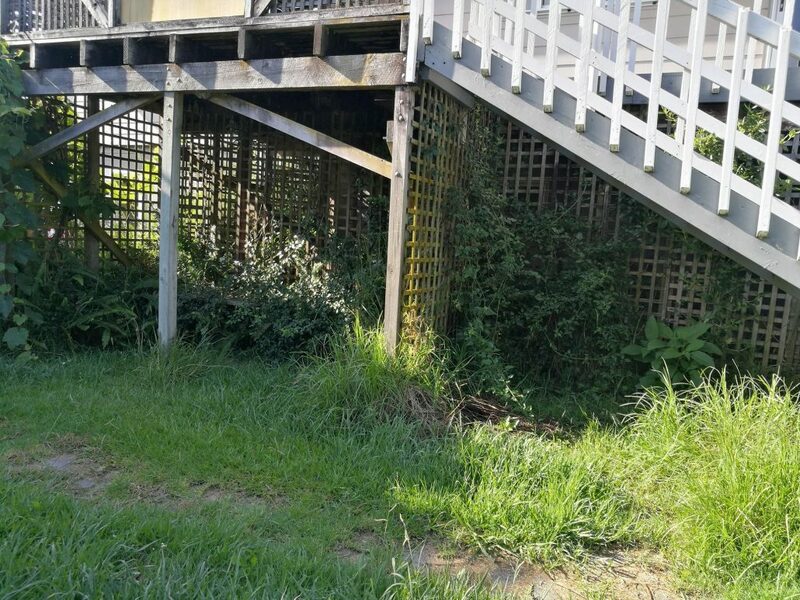 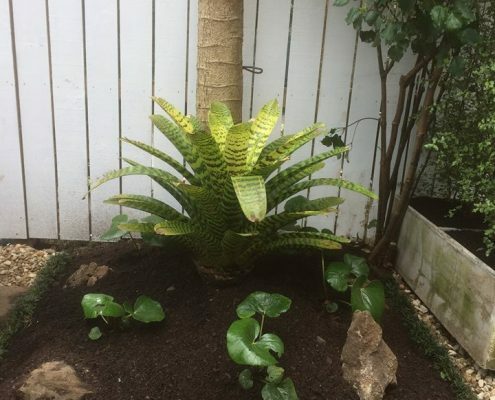 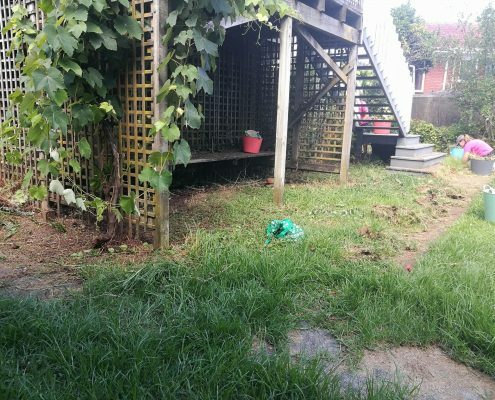 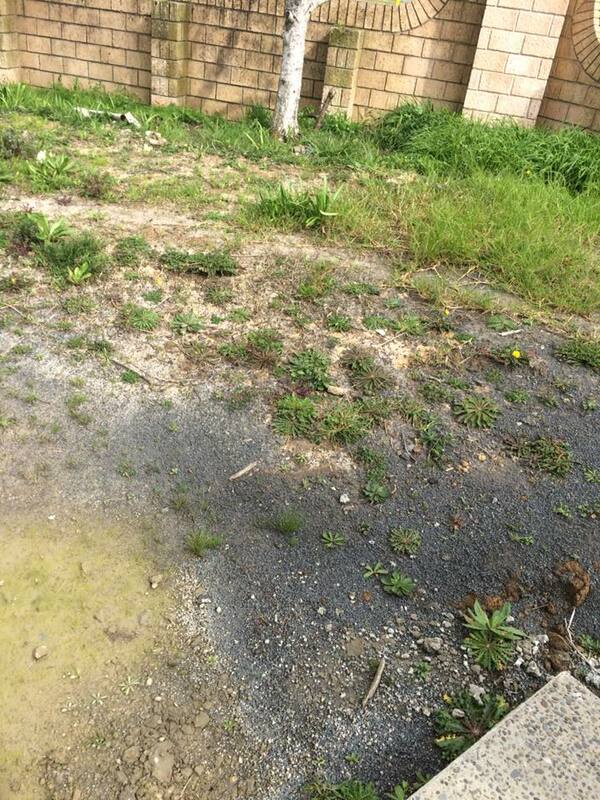 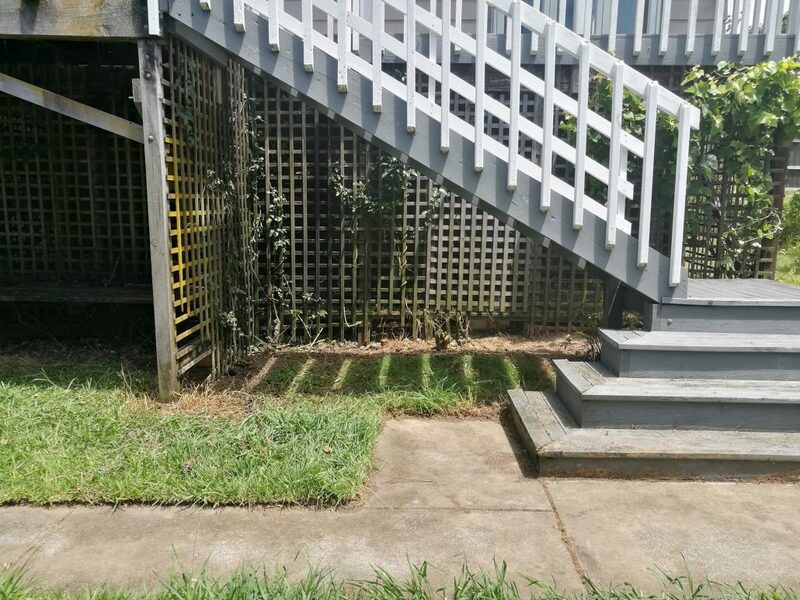 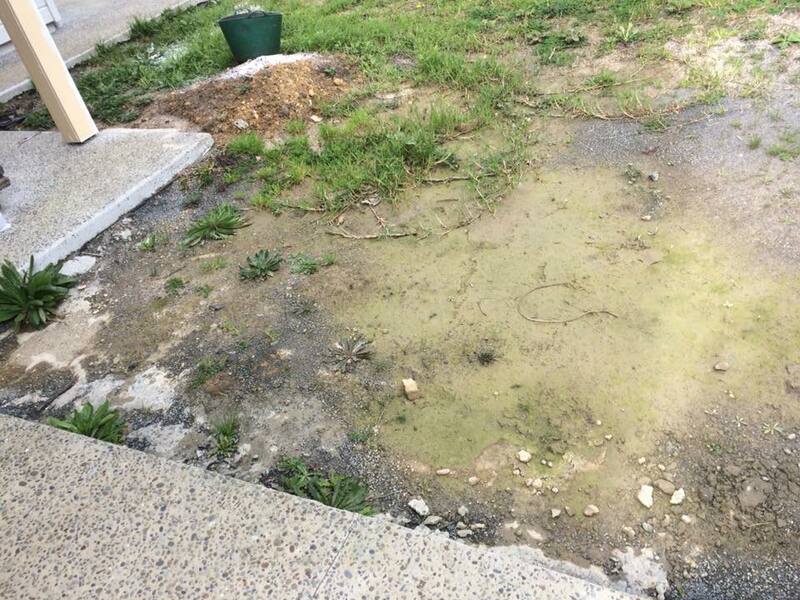 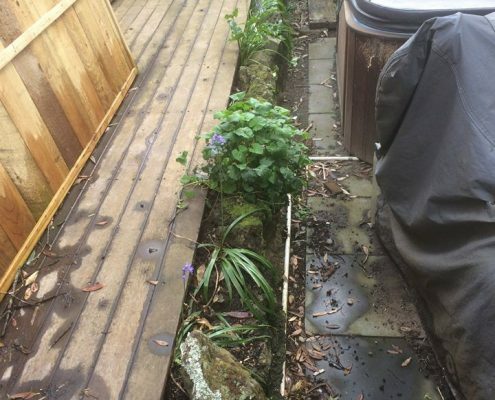 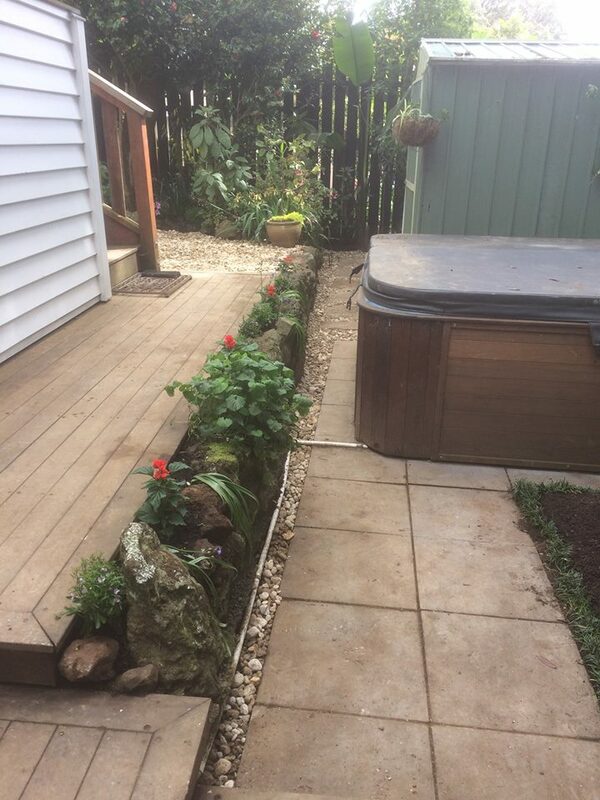 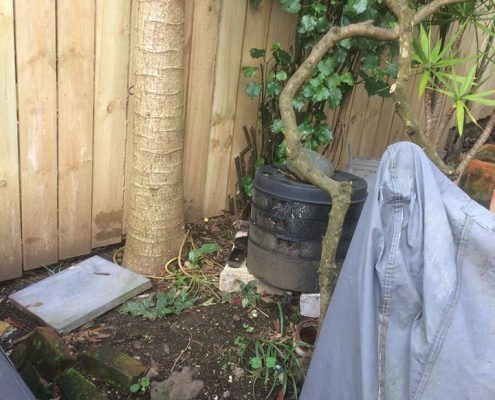 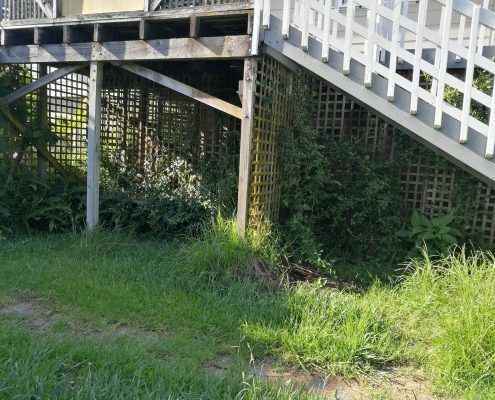 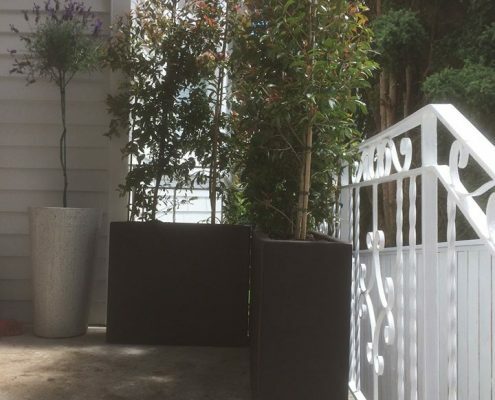 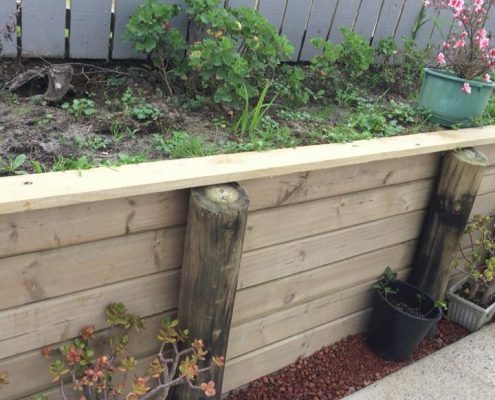 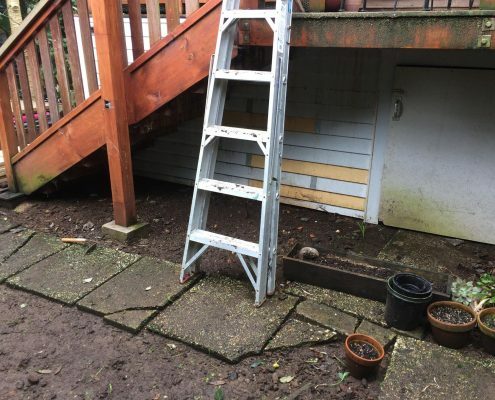 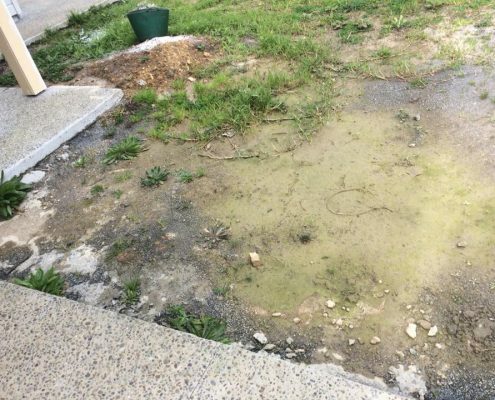 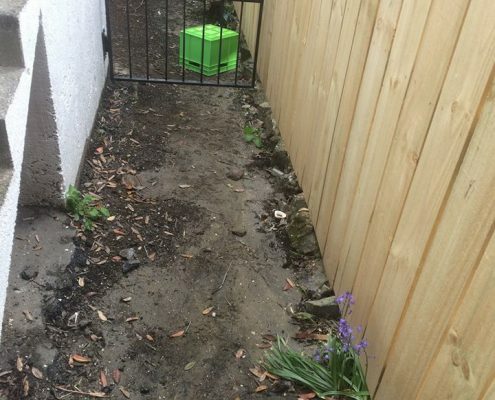 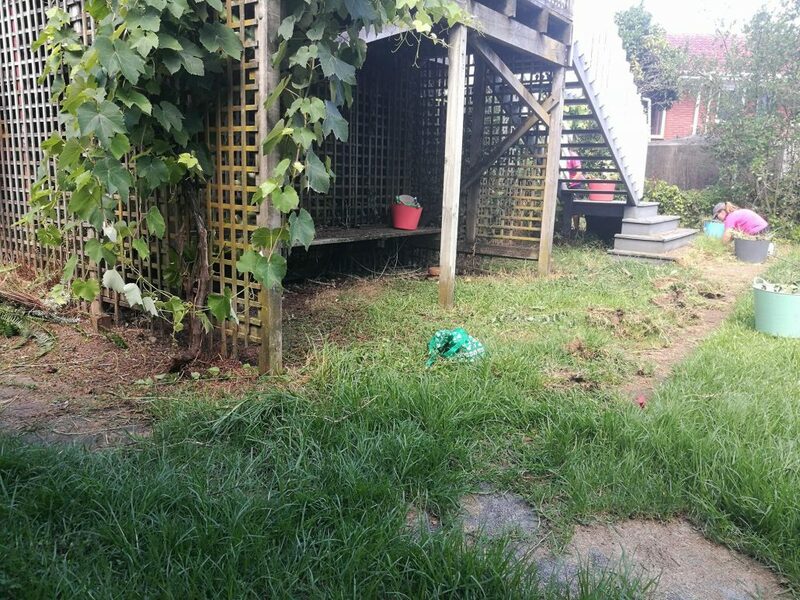 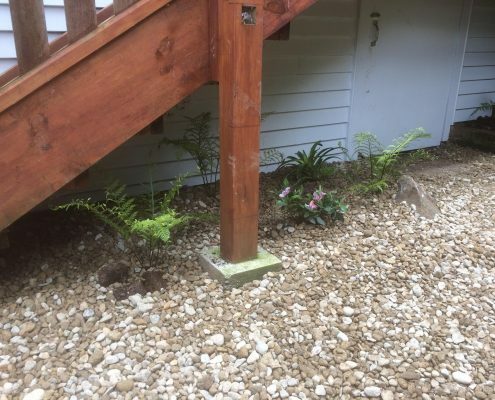 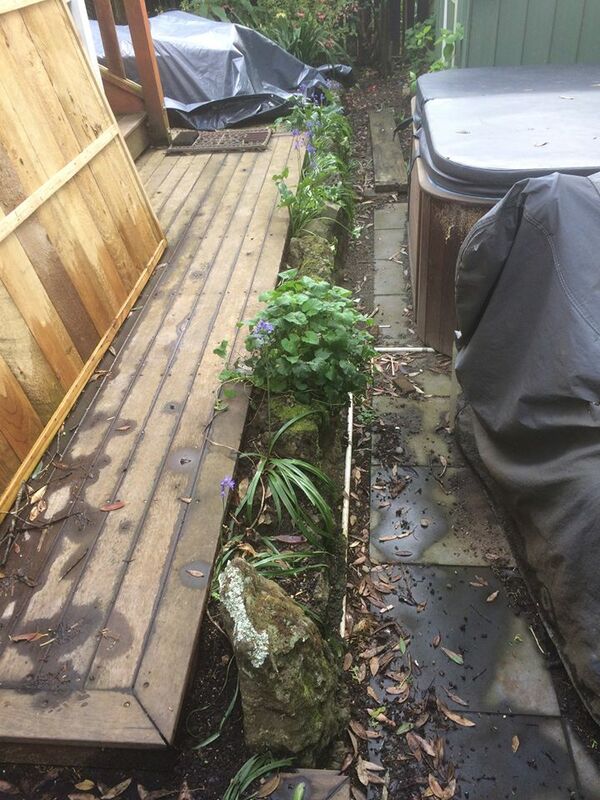 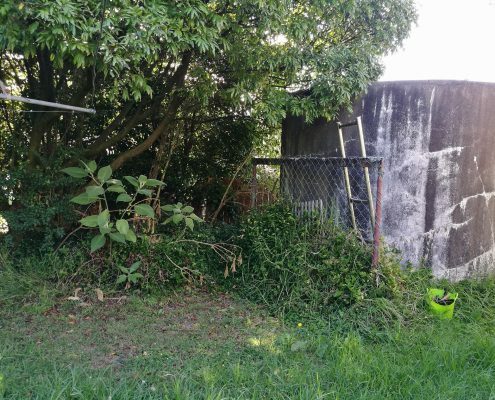 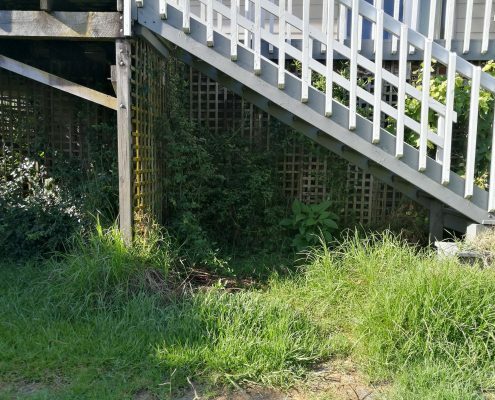 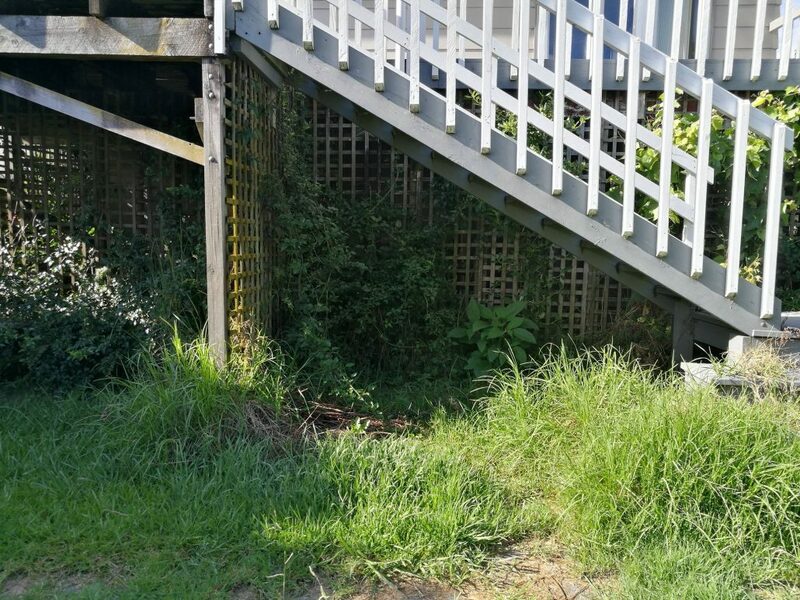 While we didn’t do any new planting in this garden, this property transformation truly stunned us, as we had no idea what was hiding beneath the weeds! 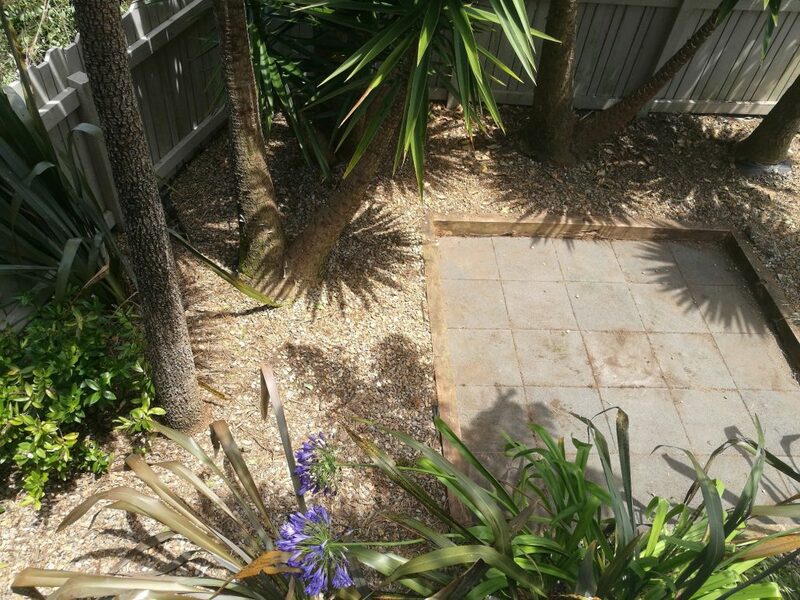 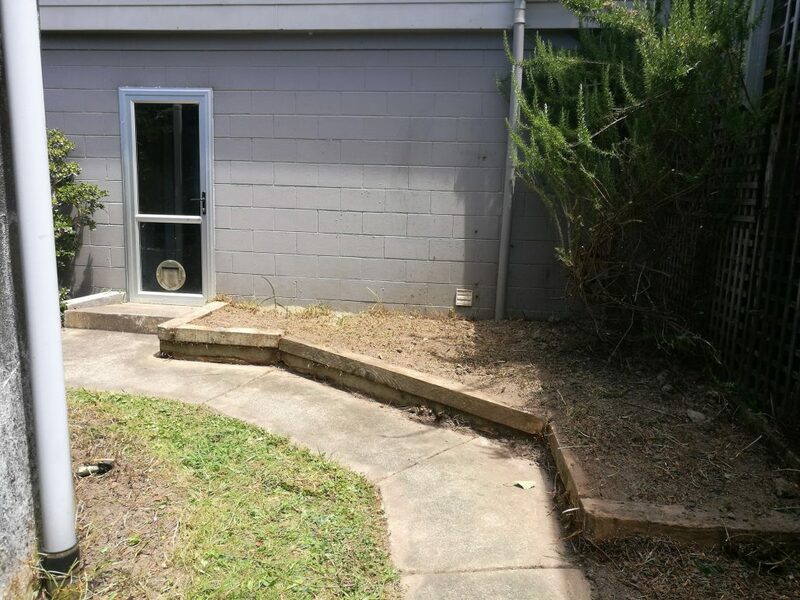 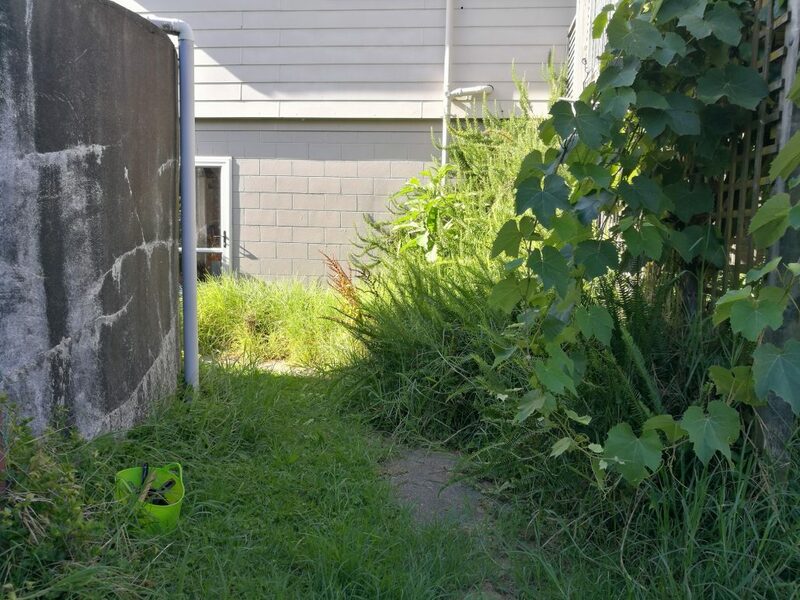 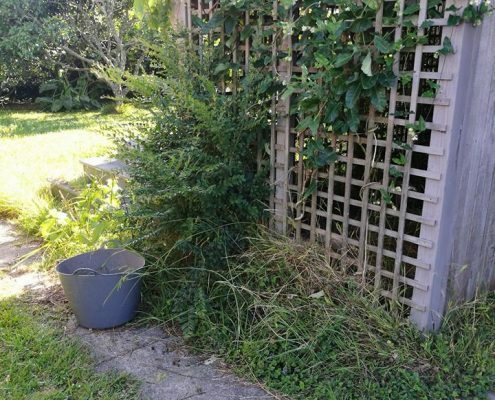 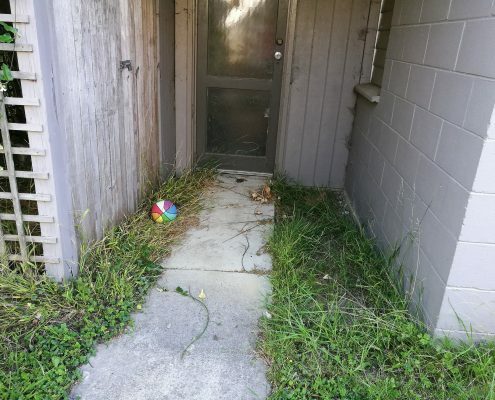 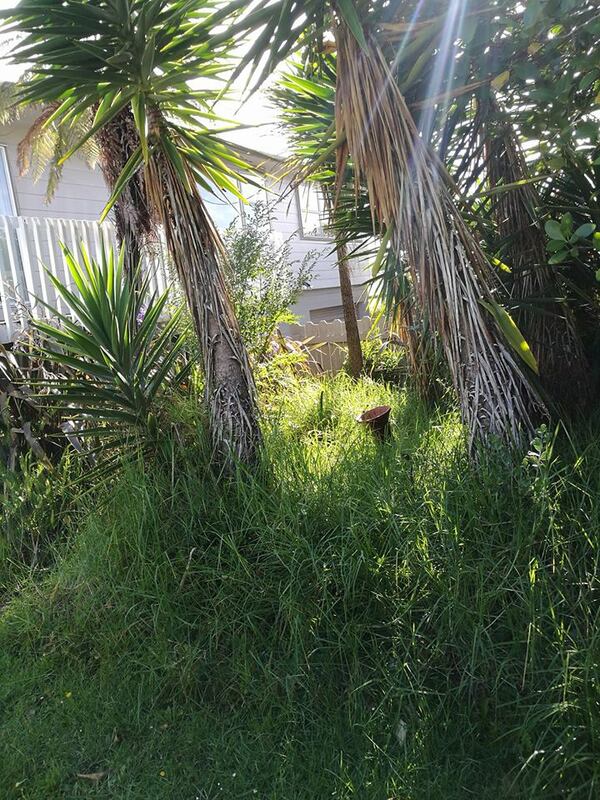 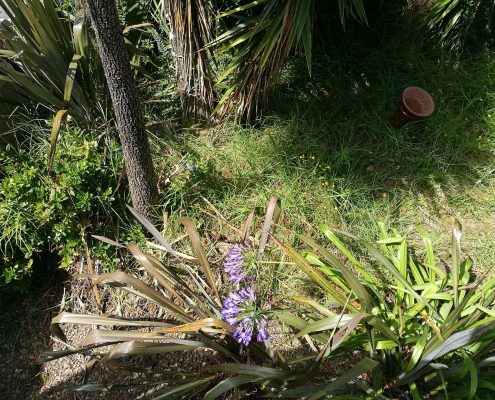 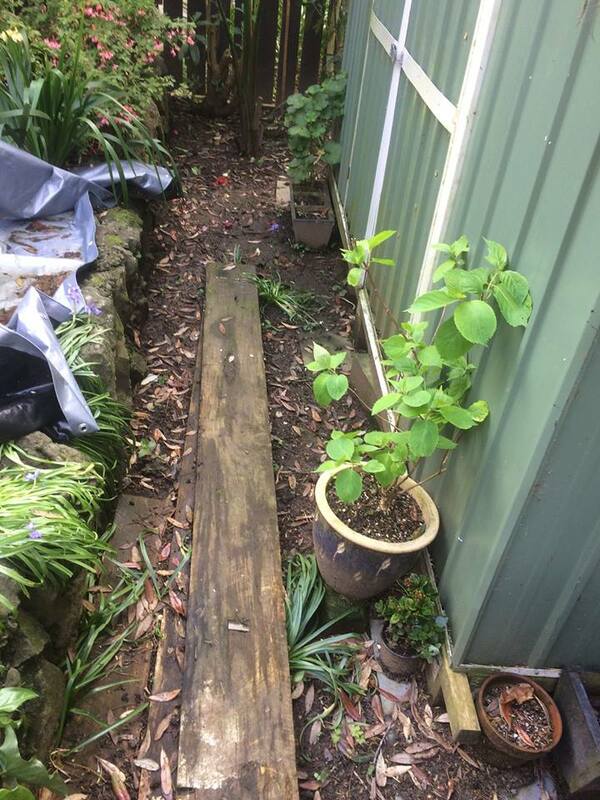 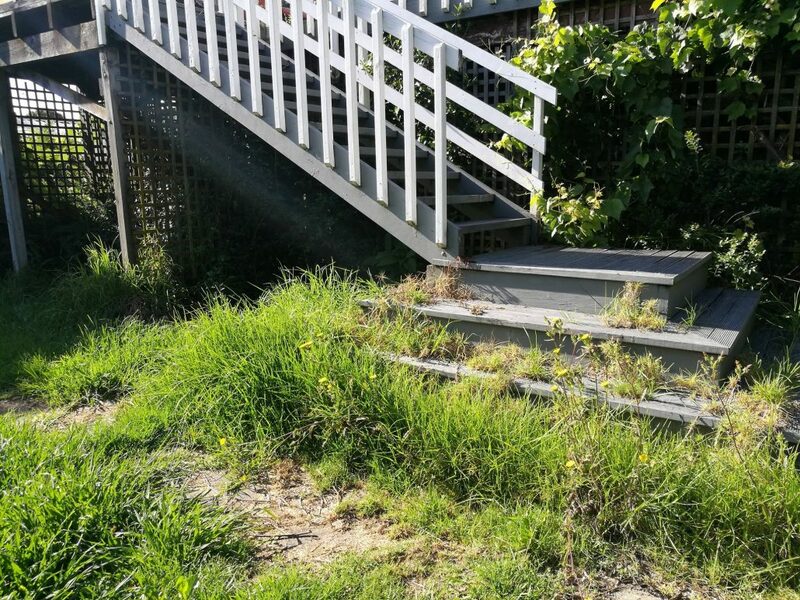 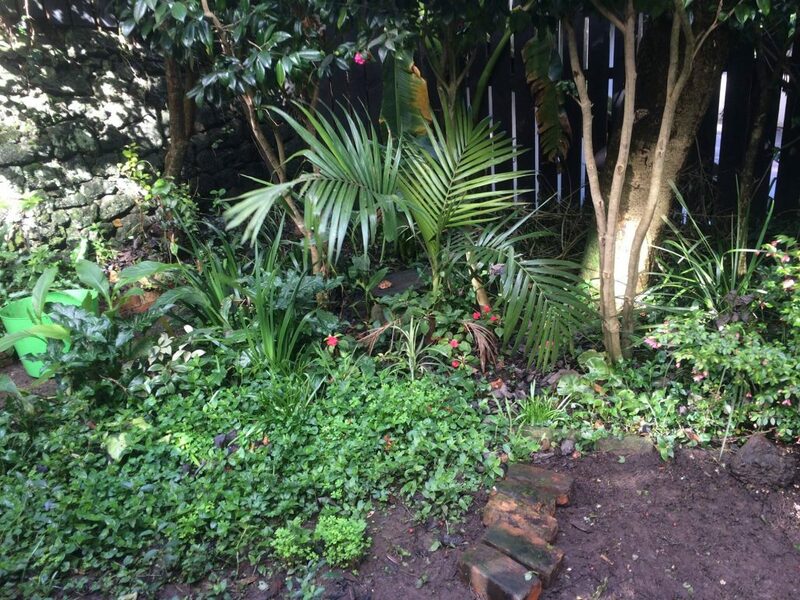 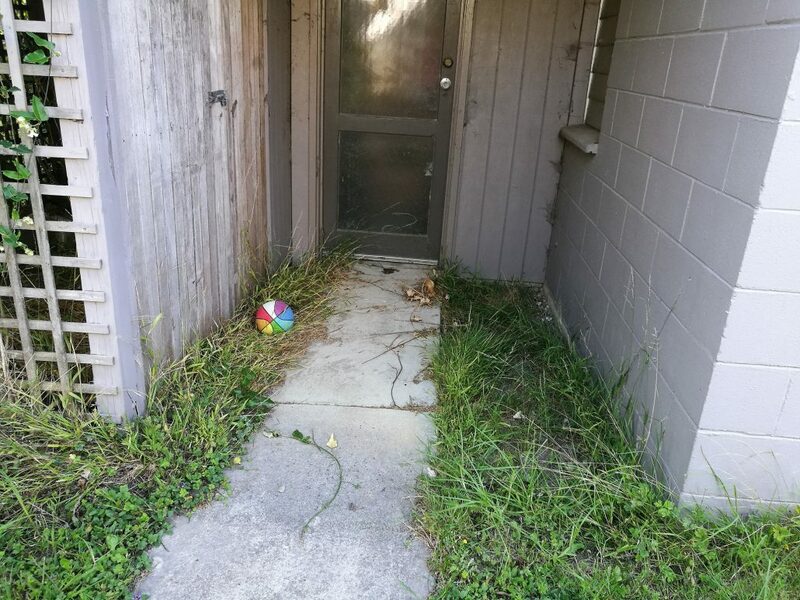 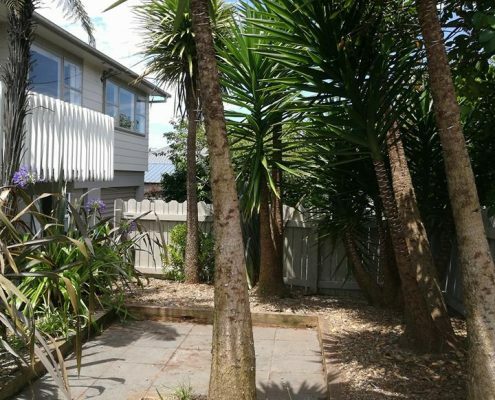 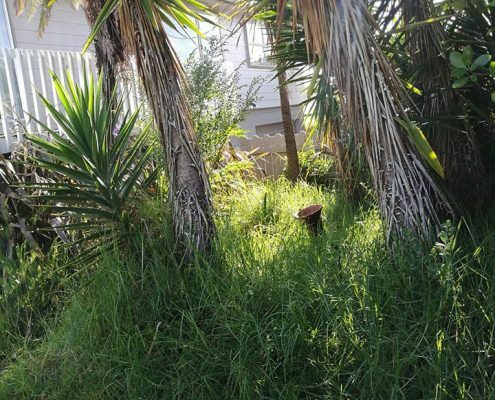 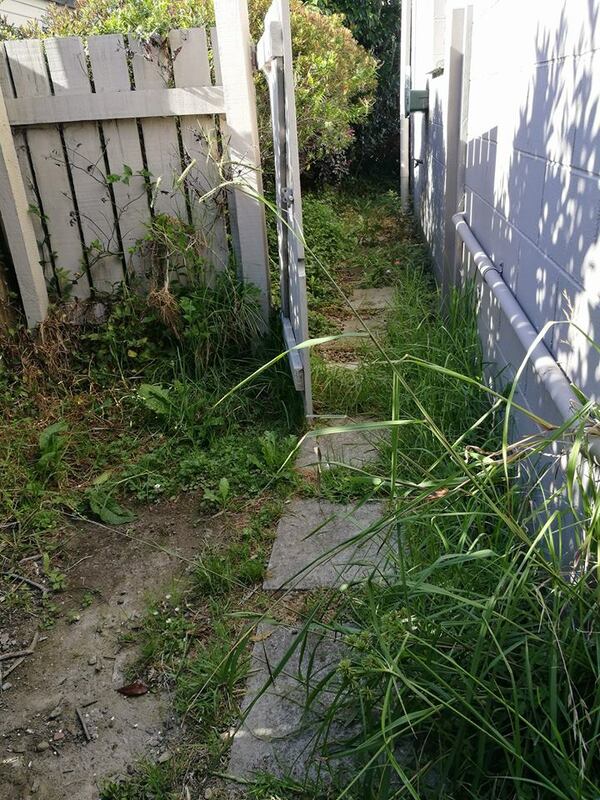 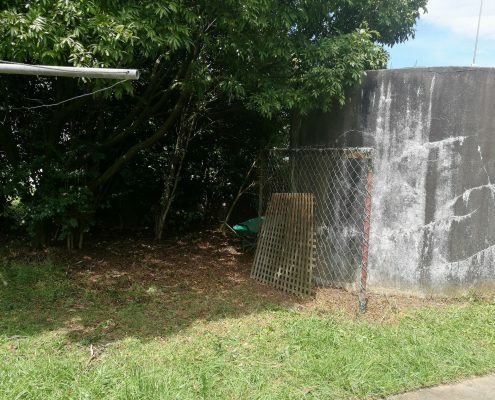 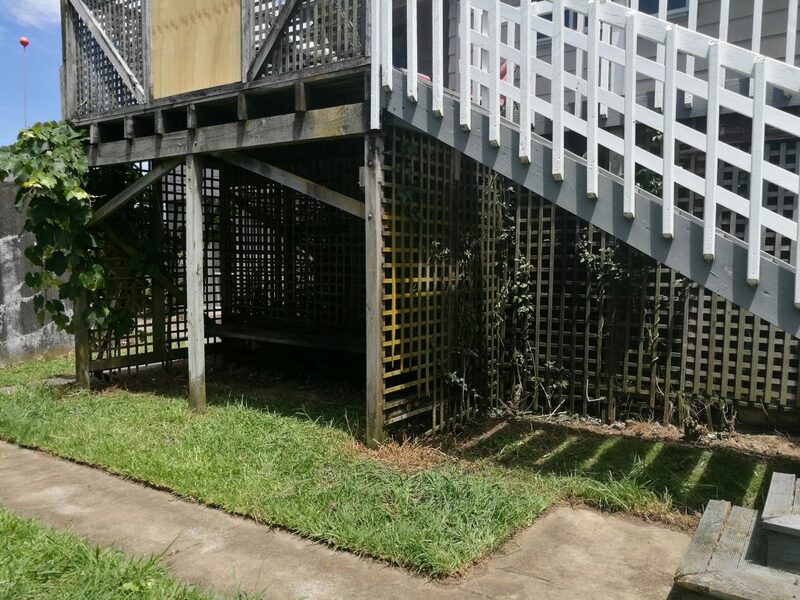 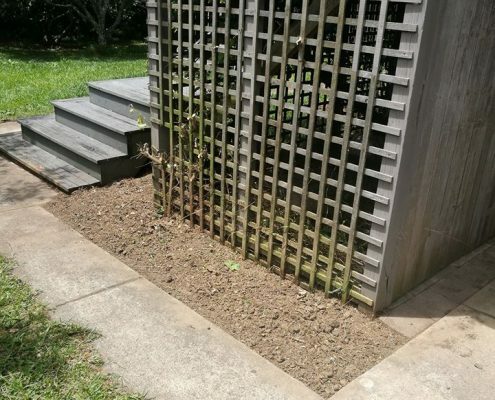 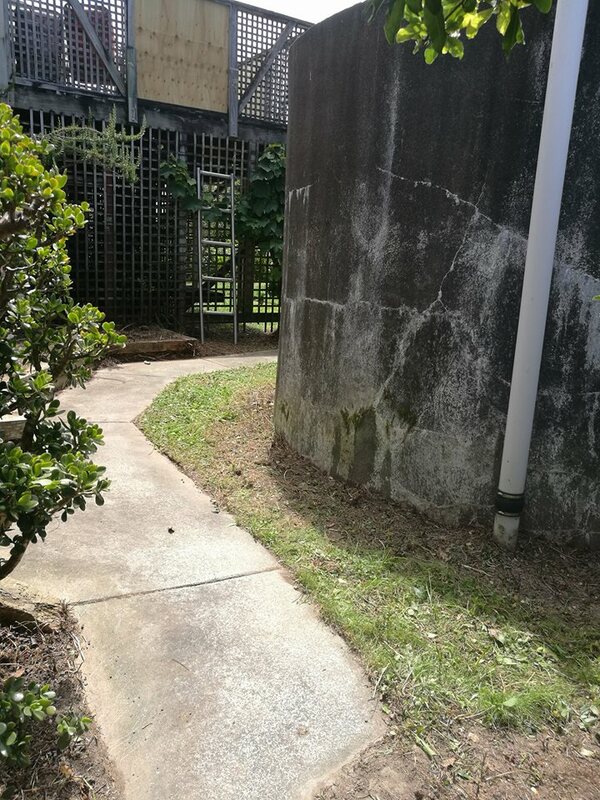 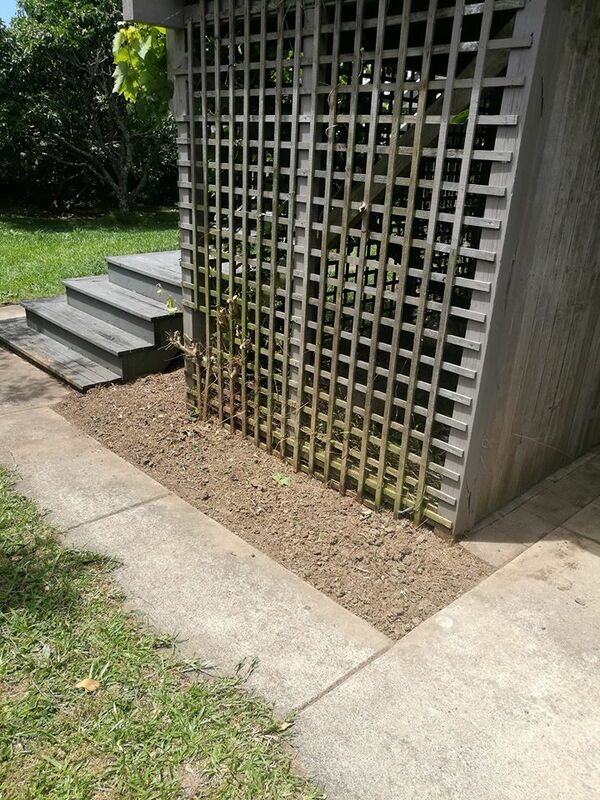 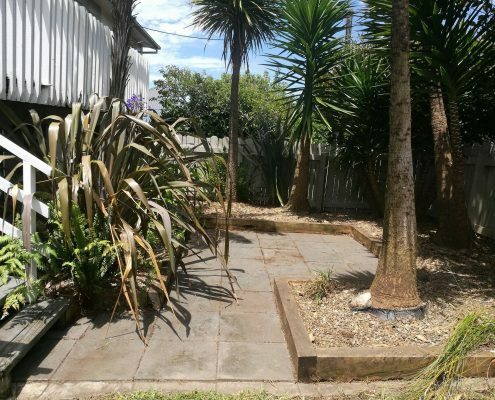 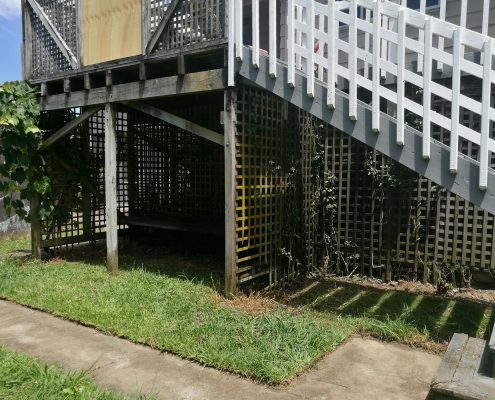 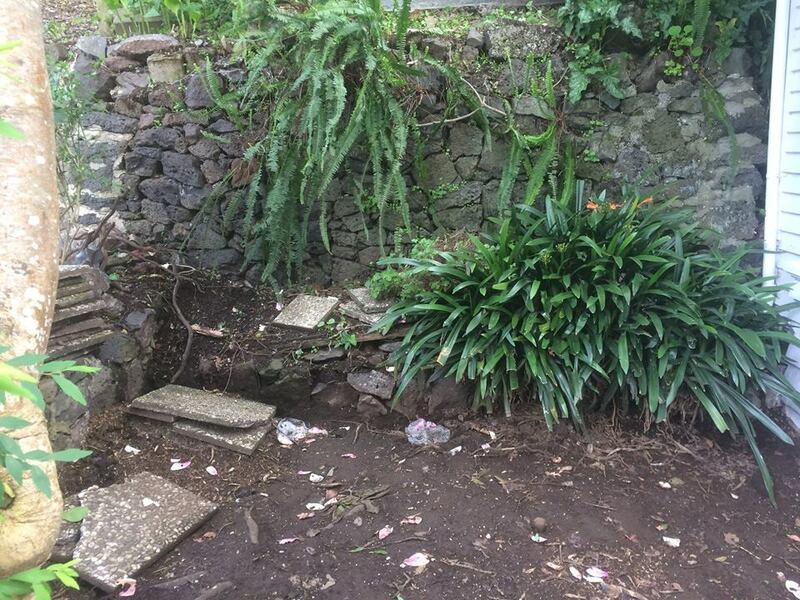 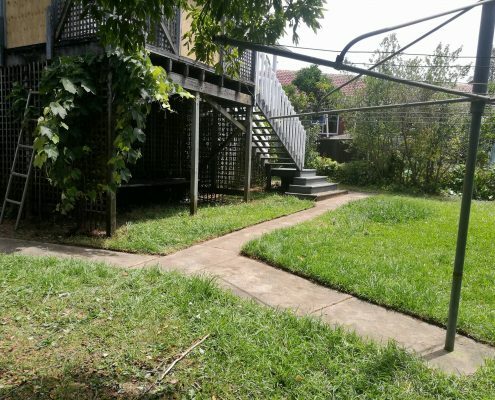 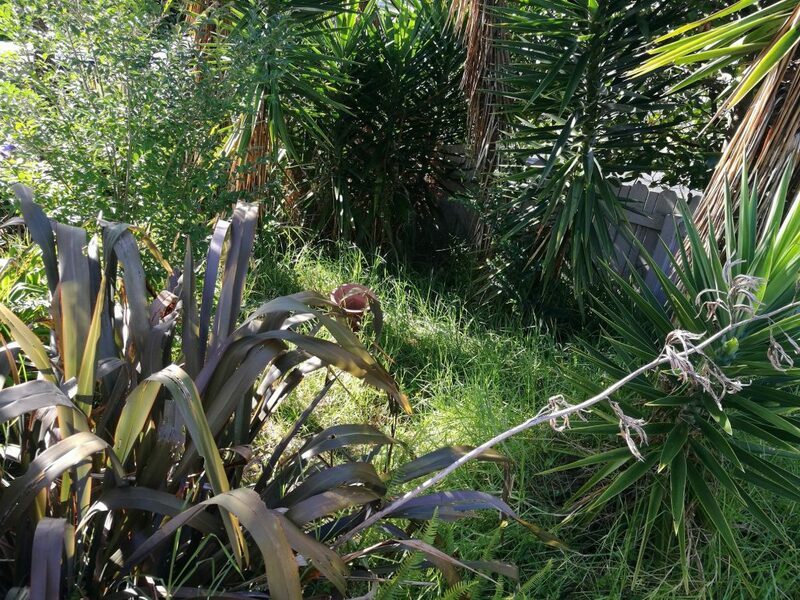 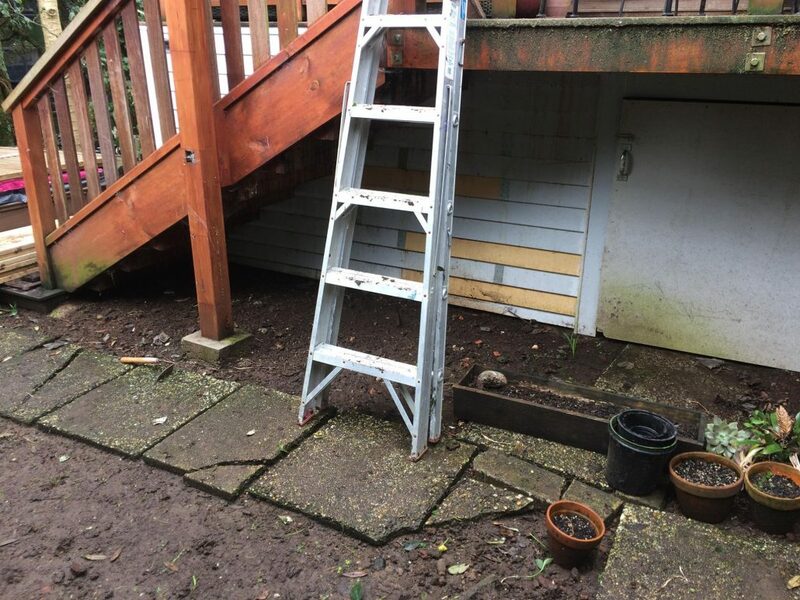 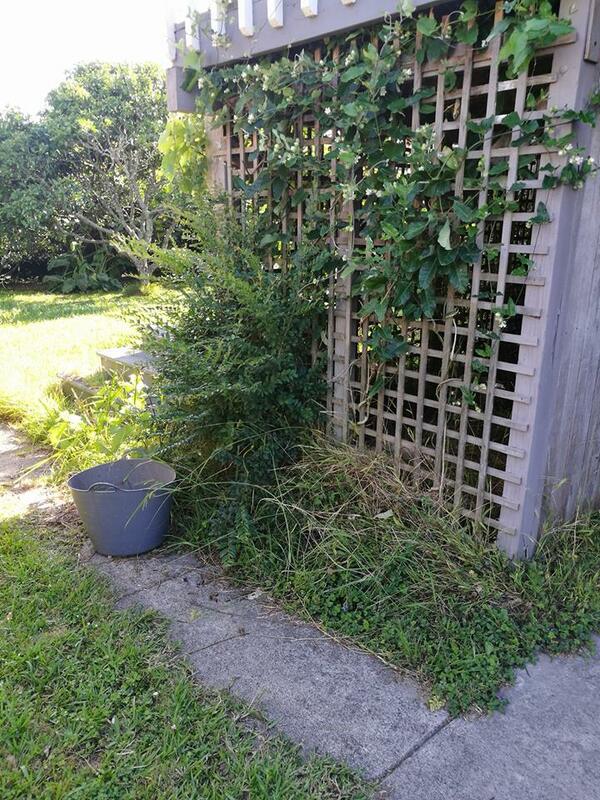 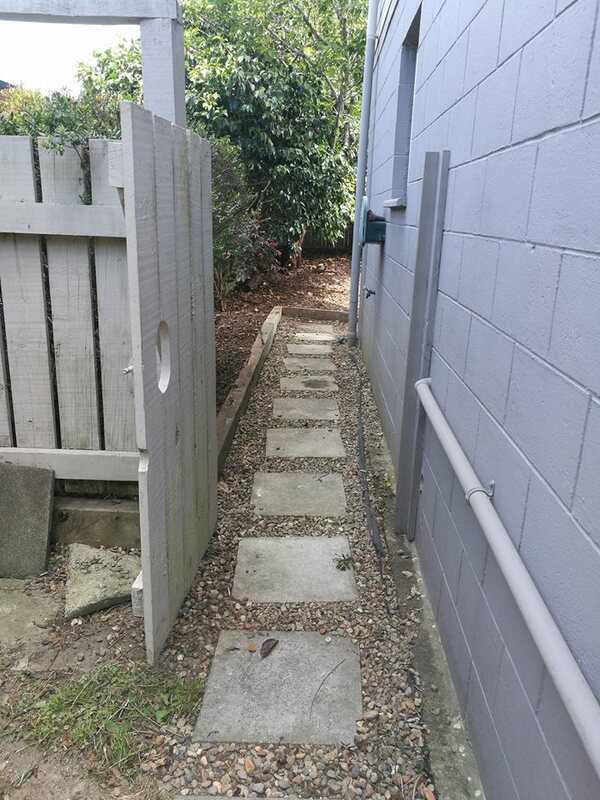 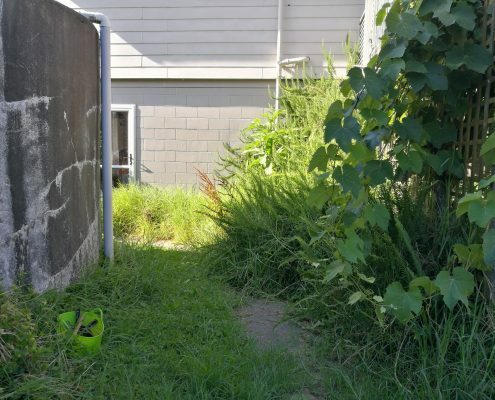 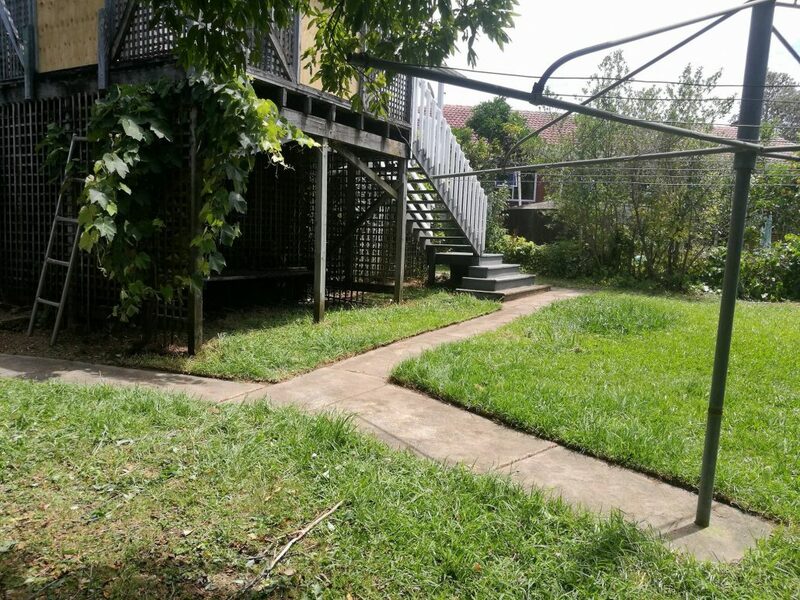 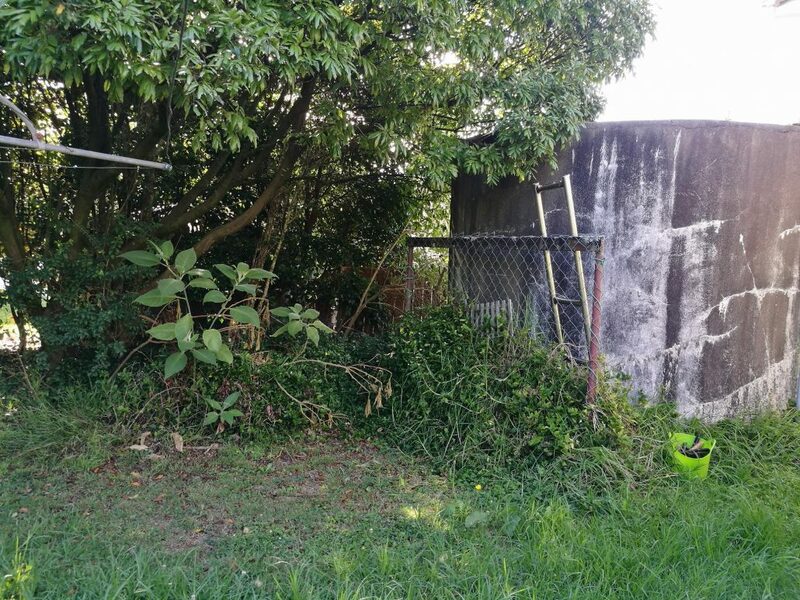 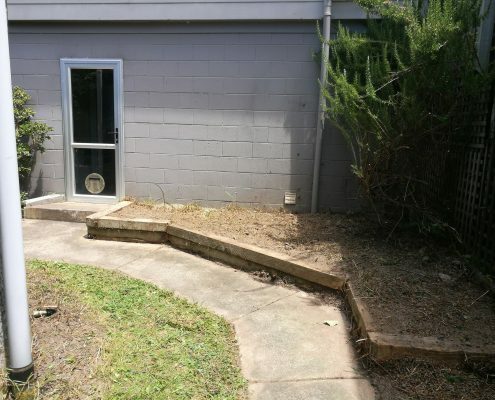 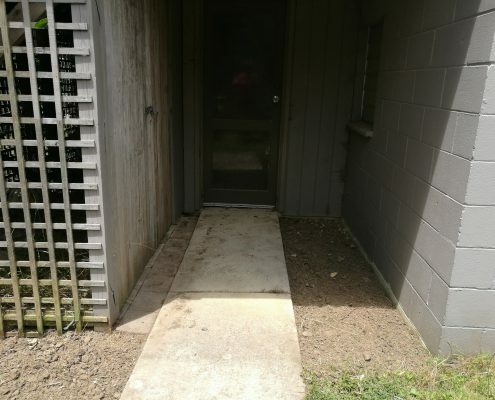 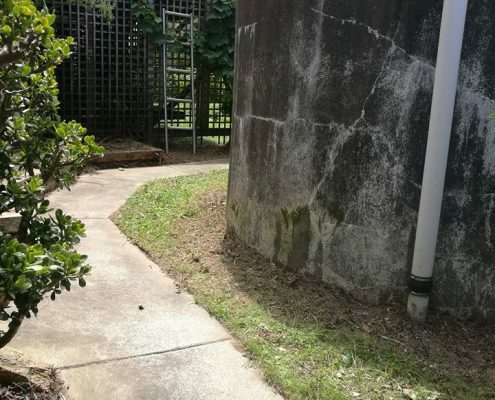 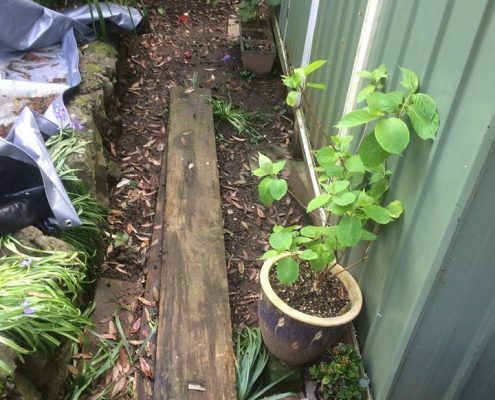 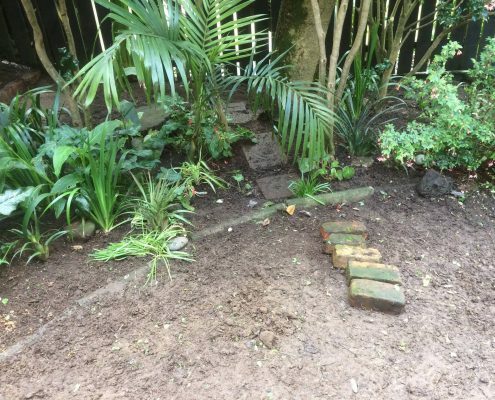 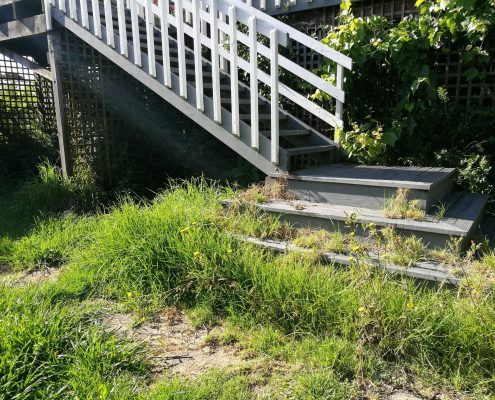 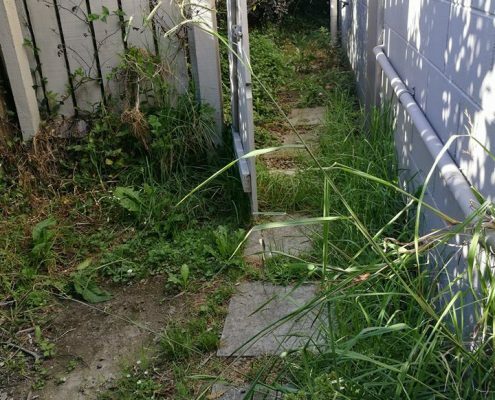 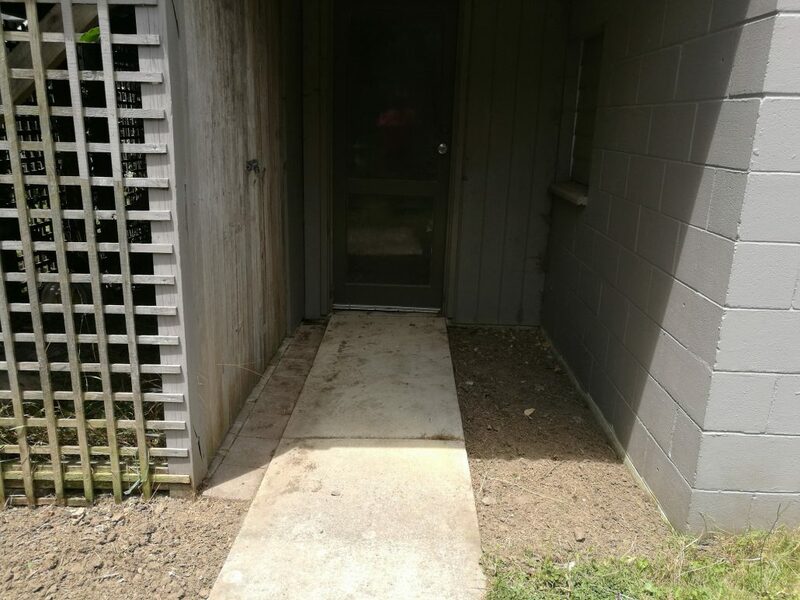 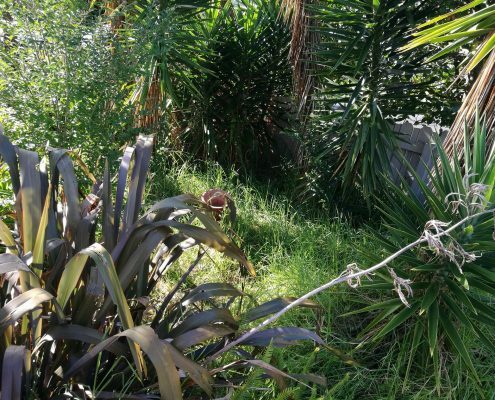 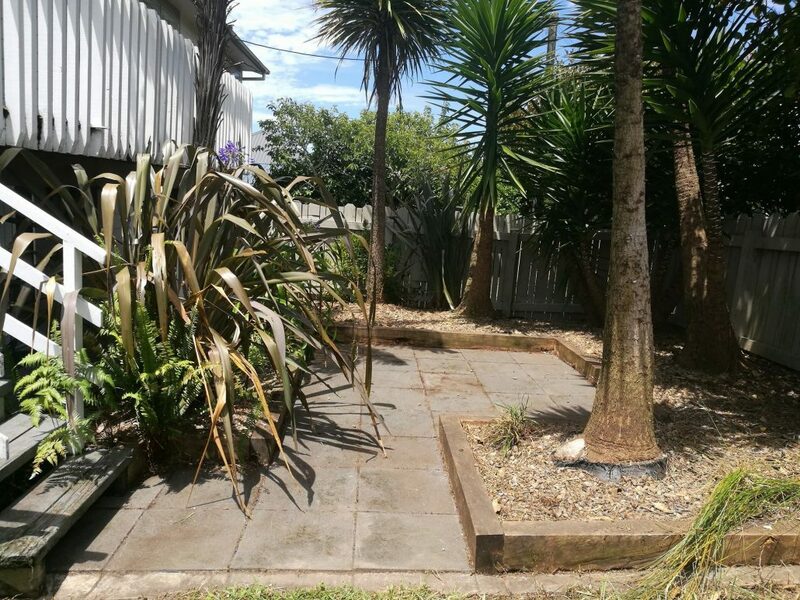 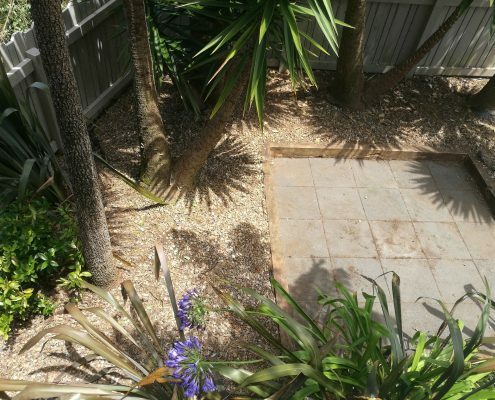 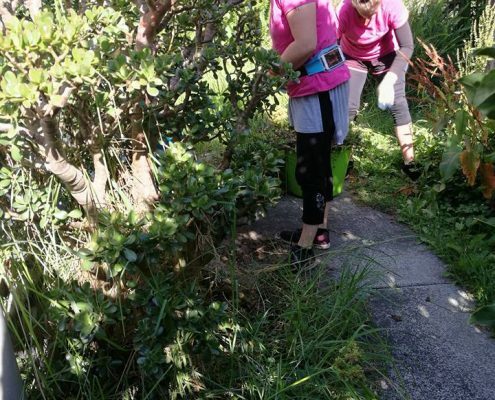 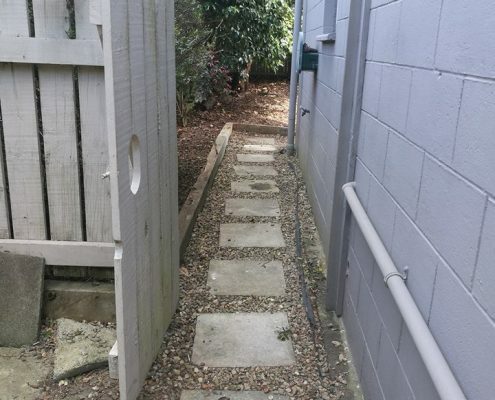 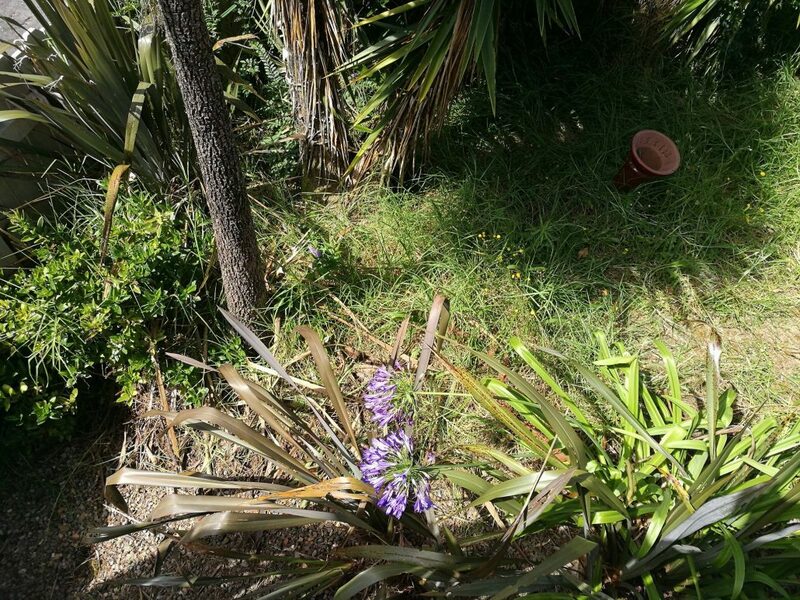 We uncovered an entire front courtyard garden that we didn’t even realise was there when we first started hacking through the Kikuyu grass, and a pathway around the back that had been otherwise lost to the lawn! 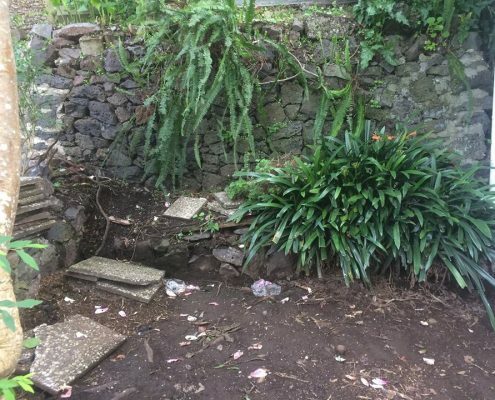 It felt a little like we were archaeologists as we made our way through the layers of built-up weeds, to discover the remnants of a former civilisation that lay beneath. 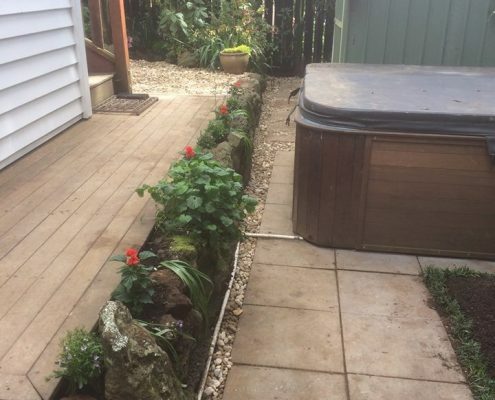 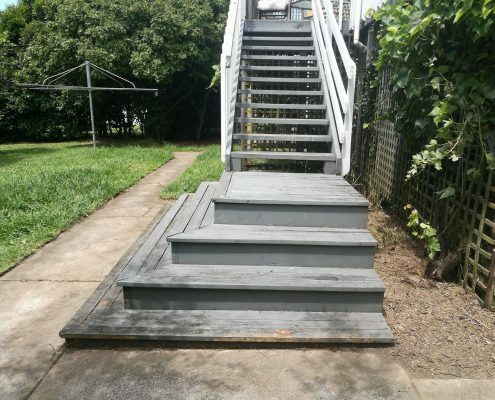 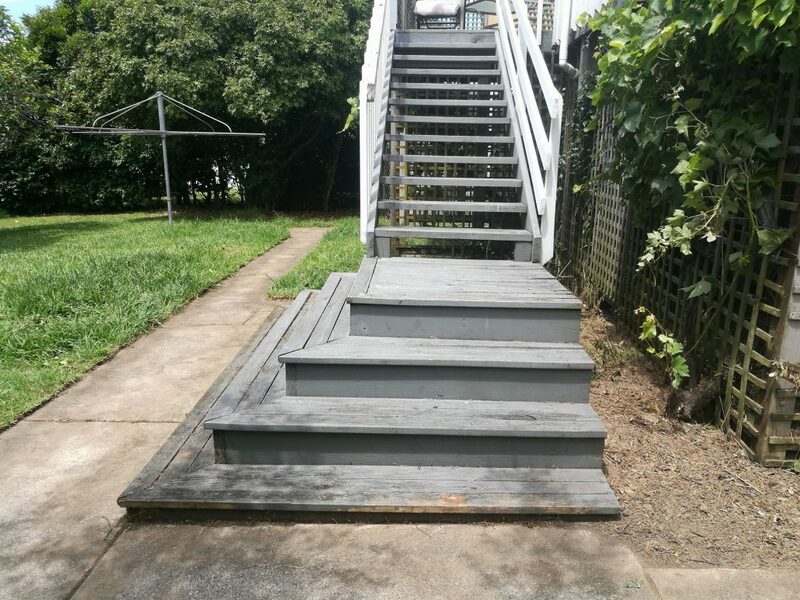 Being that this was a pre-sale tidy up, it was immensely satisfying to transform this property from neglected to lovable once more. 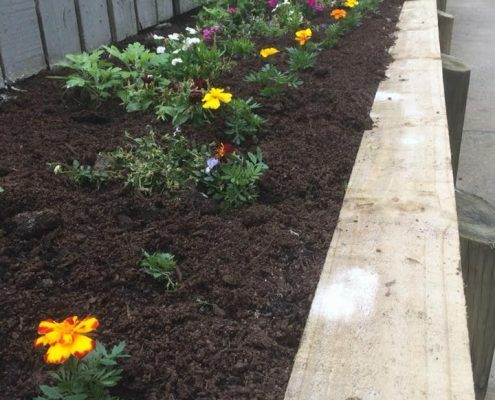 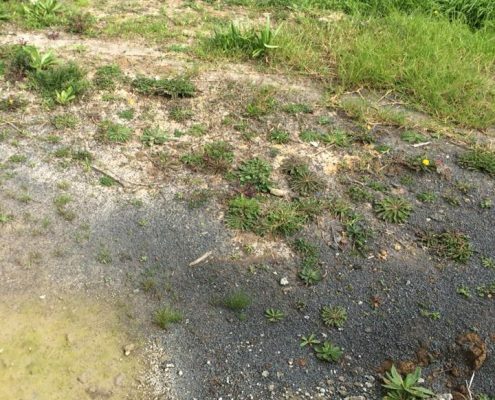 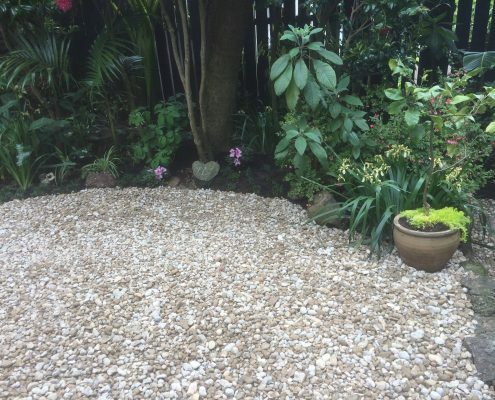 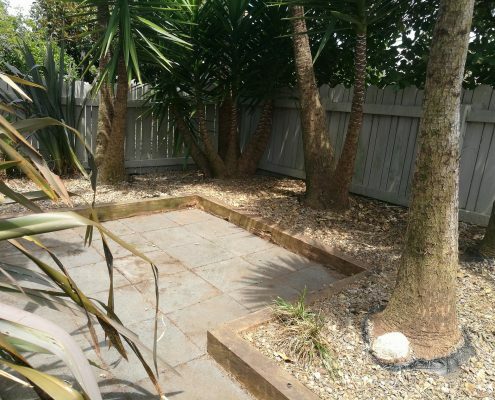 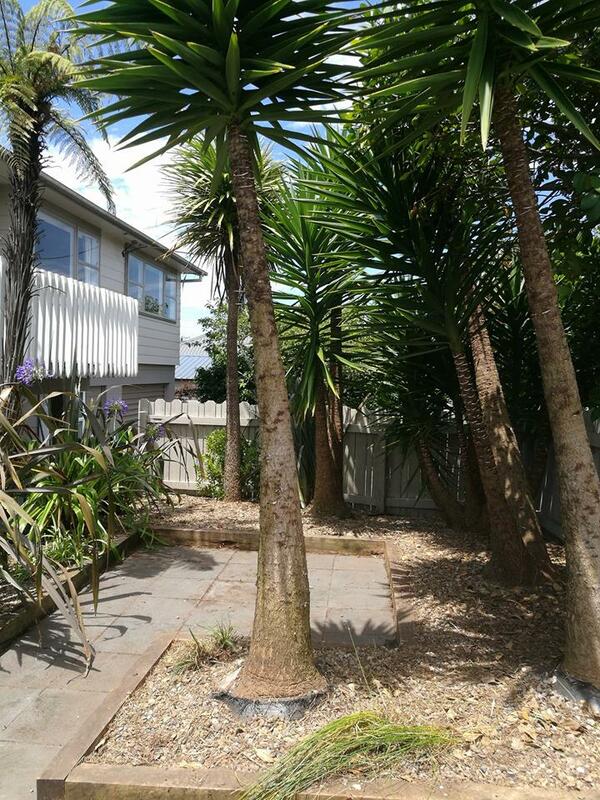 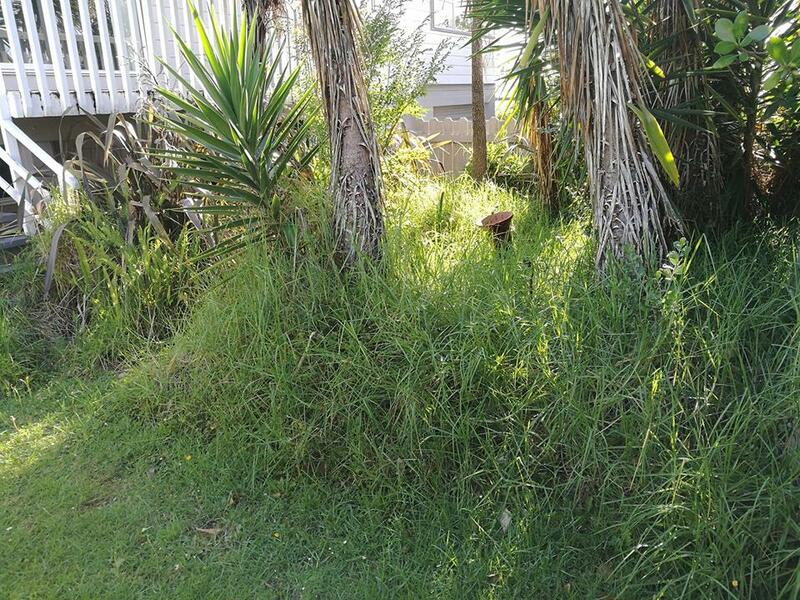 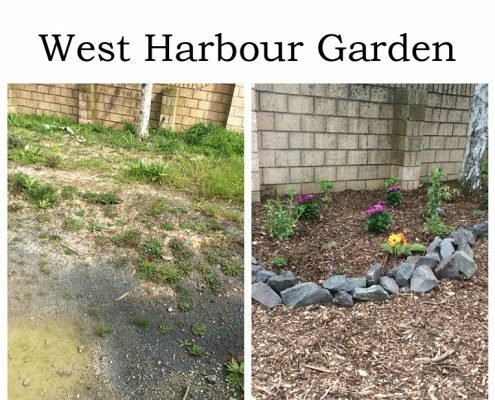 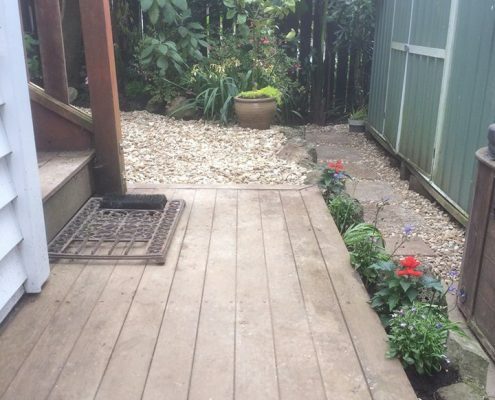 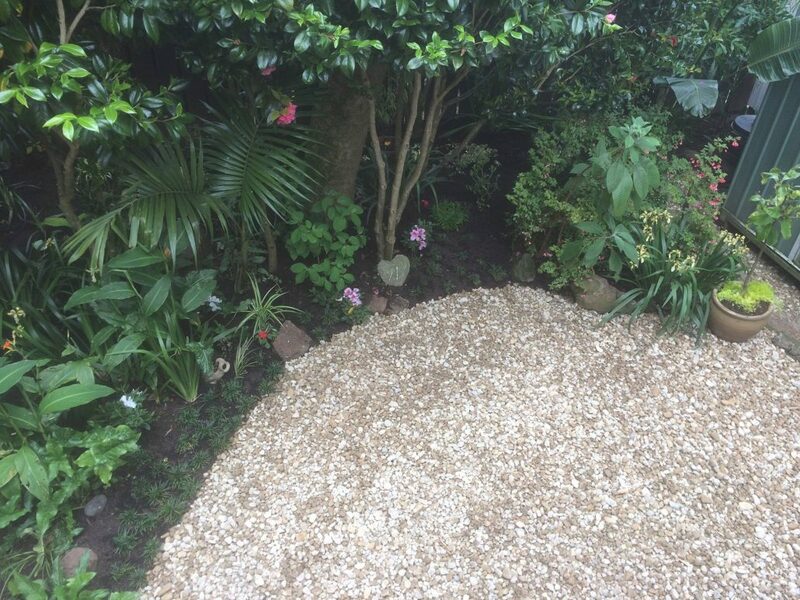 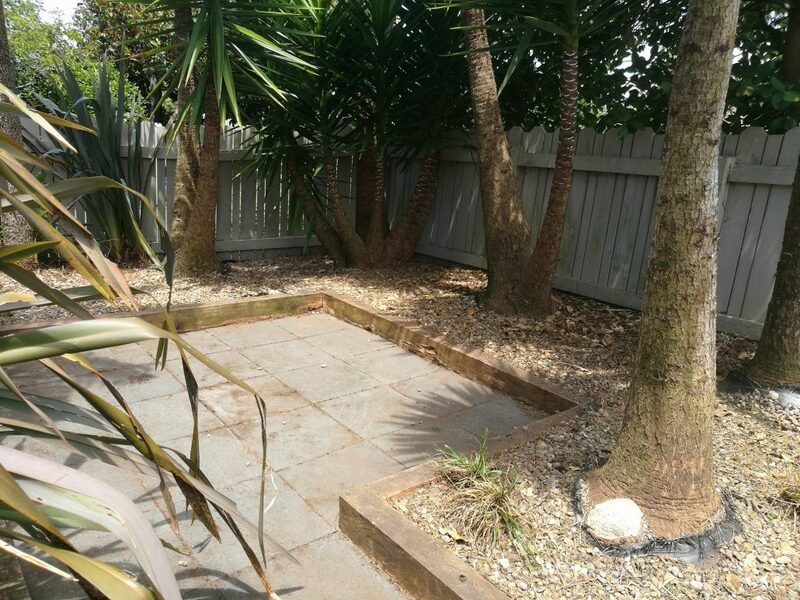 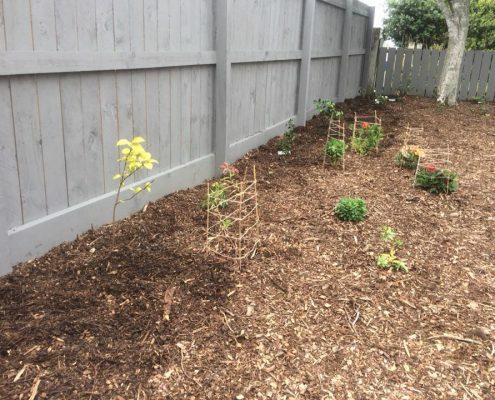 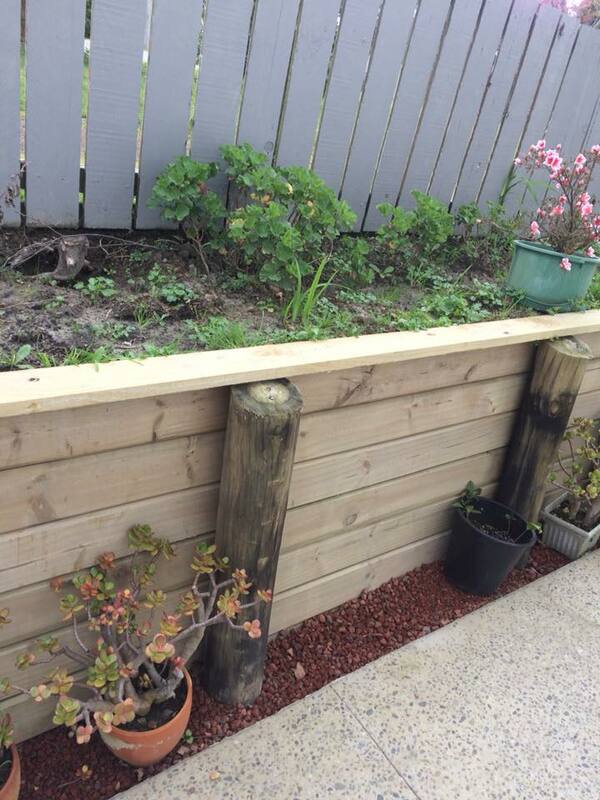 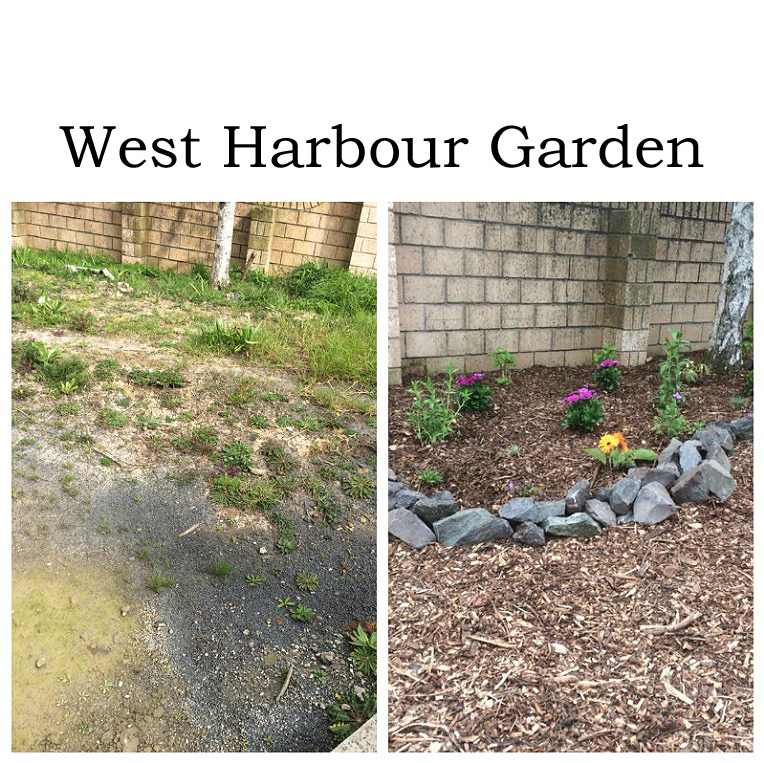 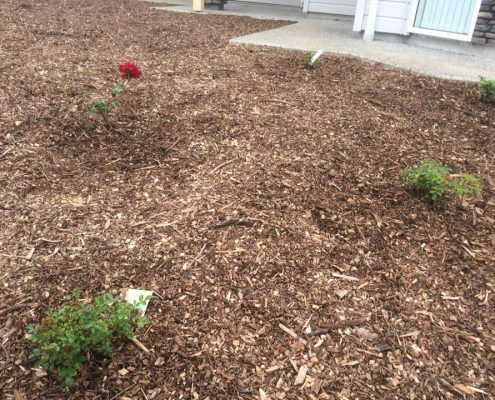 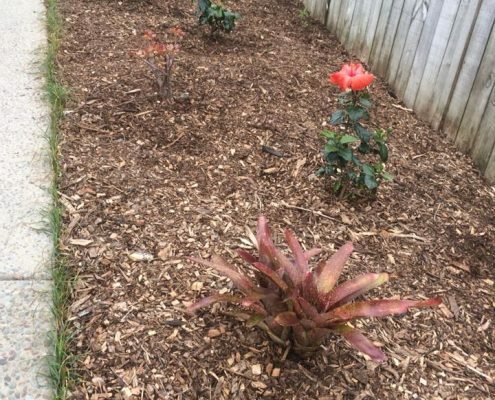 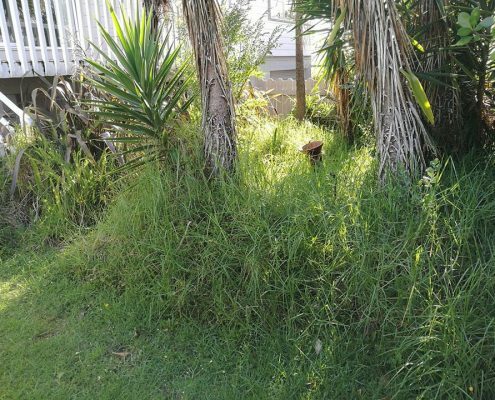 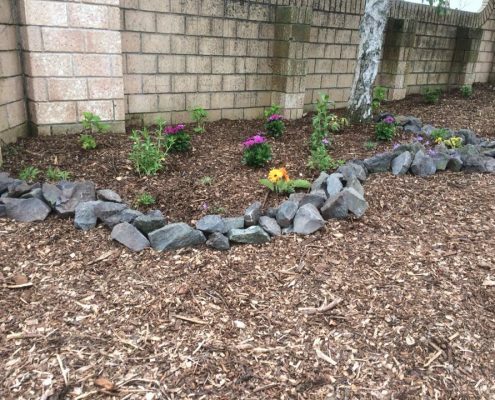 This has been a transformation of a weedy lawn with a clay base, so we have gradually added 50kg+ gypsum, removed a lot of the clay in some areas, replaced with gypsum and compost, and mulched the entire area – around 25 cubic metres of mulch. 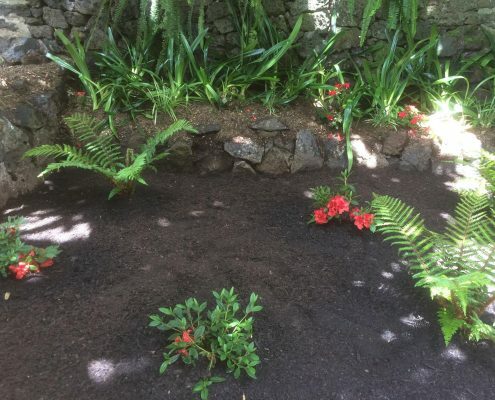 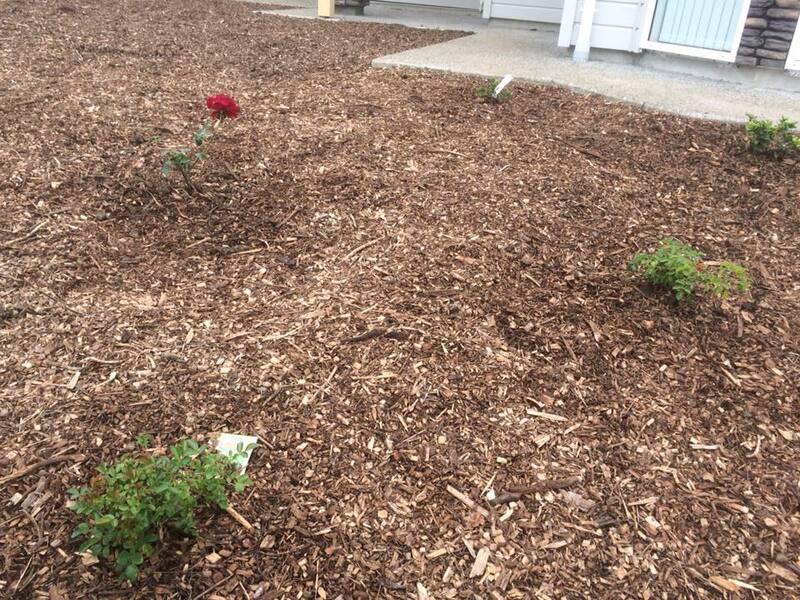 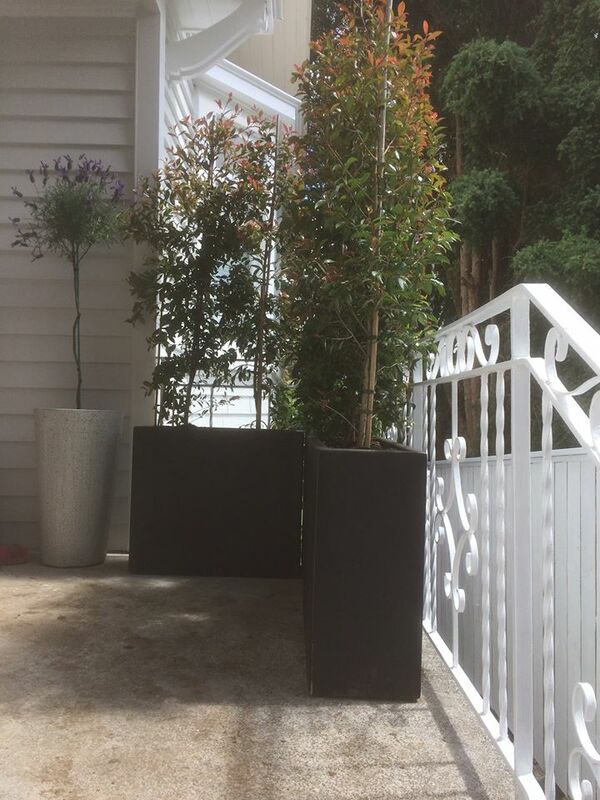 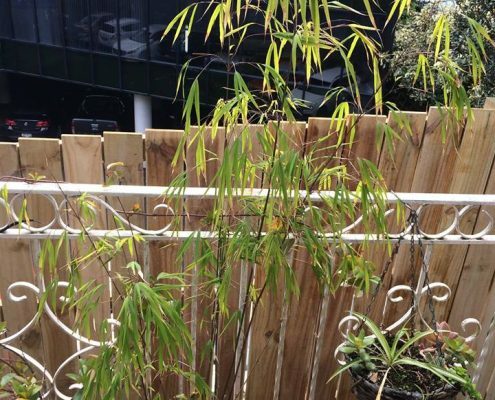 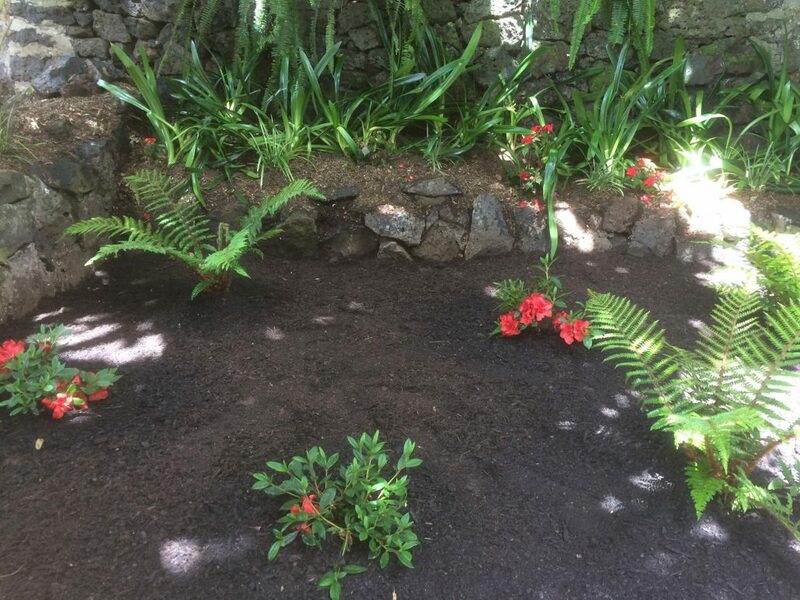 It now has areas for hibiscus and tropical styles, gardenia, roses, alstroemeria and camellia, and fuschia. 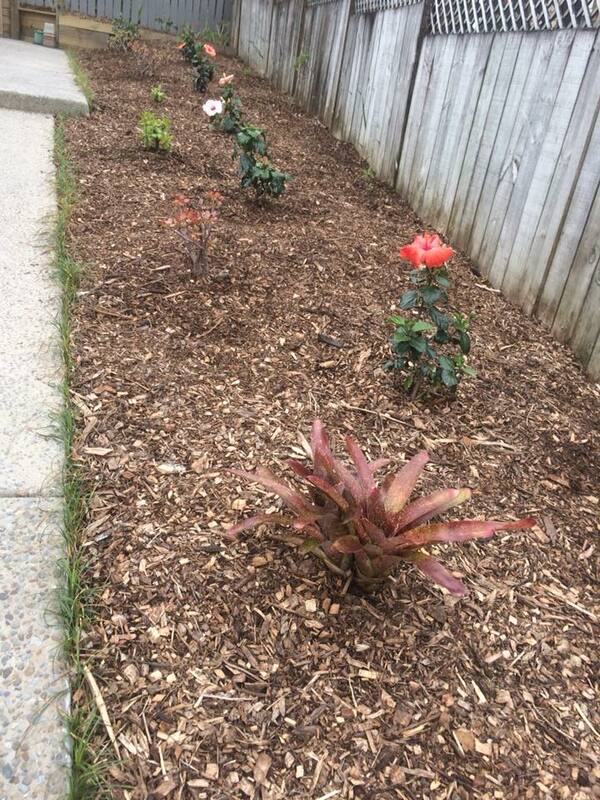 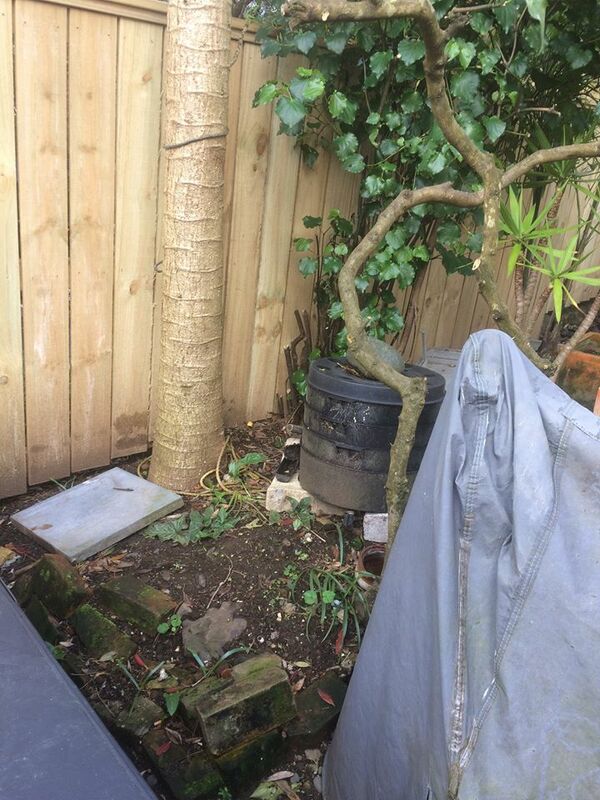 Lovely star jasmine will cover the low area below a retaining wall, and hide a drain. 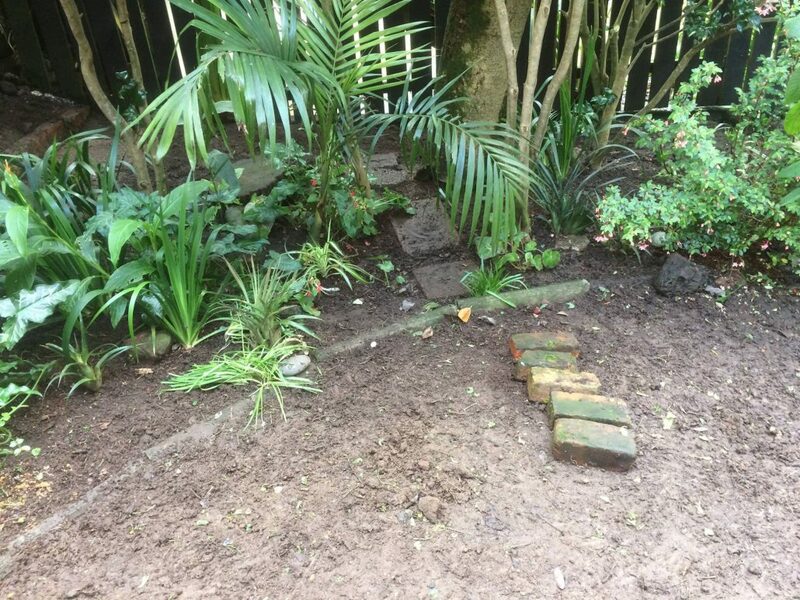 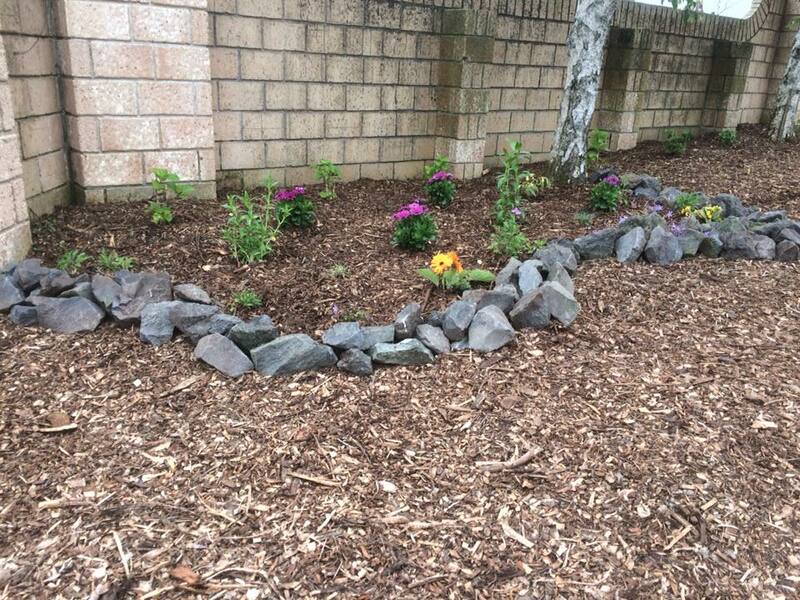 A rockery was added, and that’s going to look stunning when the plants grow and fill the space. 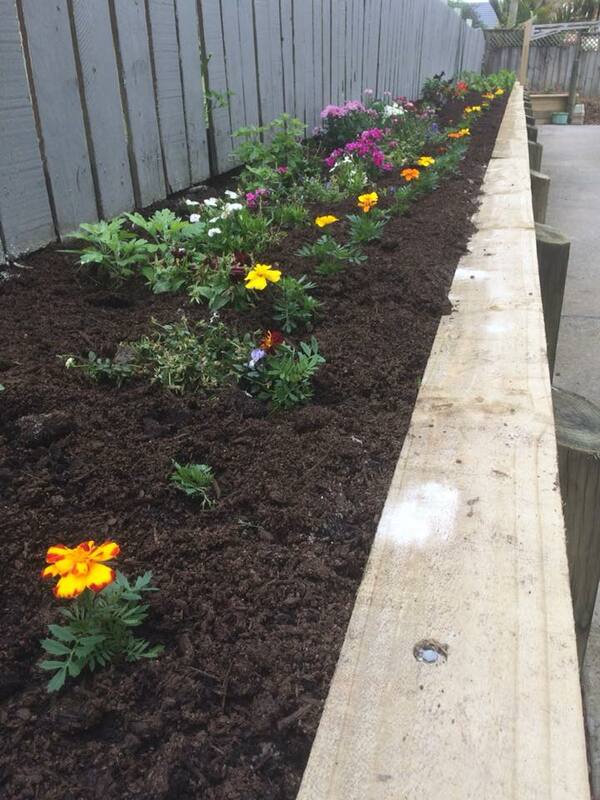 Potted colour in the raised beds was a special requirement – for daily picking of flowers. 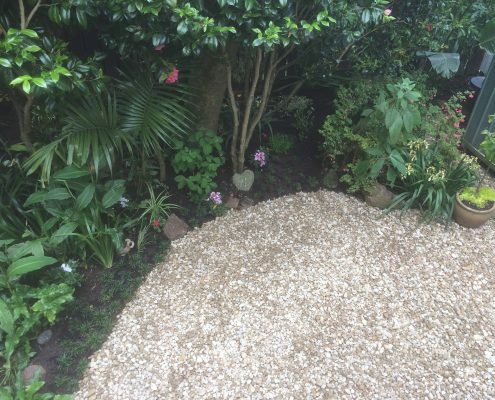 Lastly, the edge of the main garden area has been planted with mondo grass which will stop the mulch being kicked onto the path by the birds. 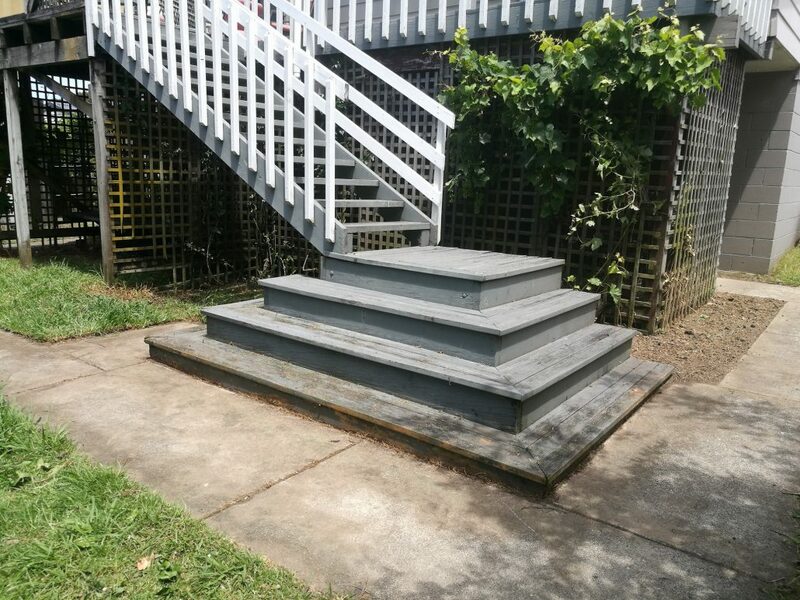 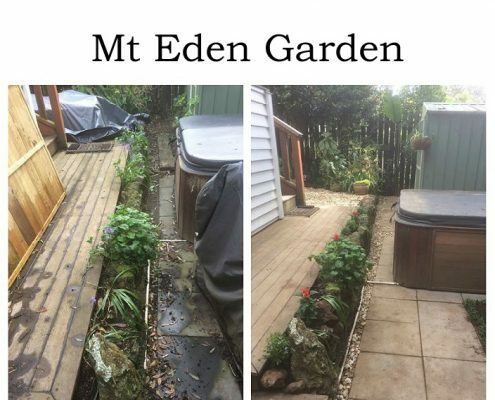 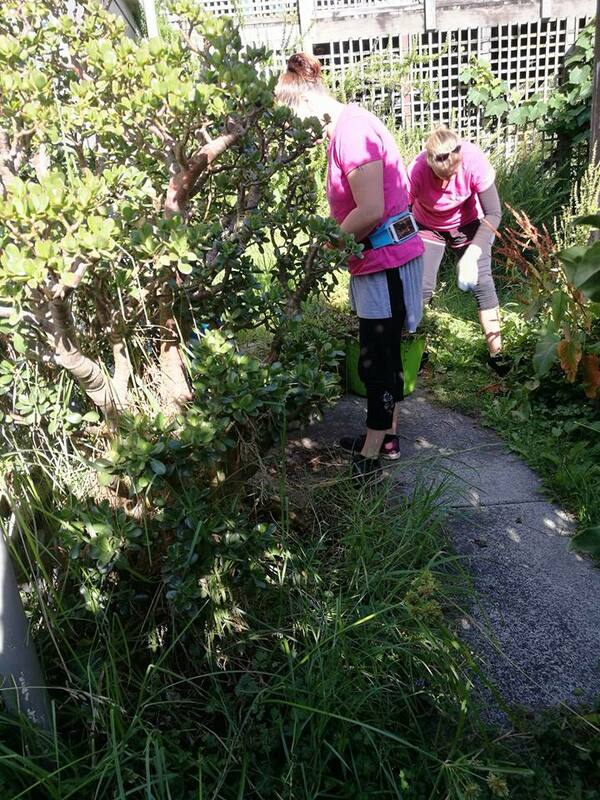 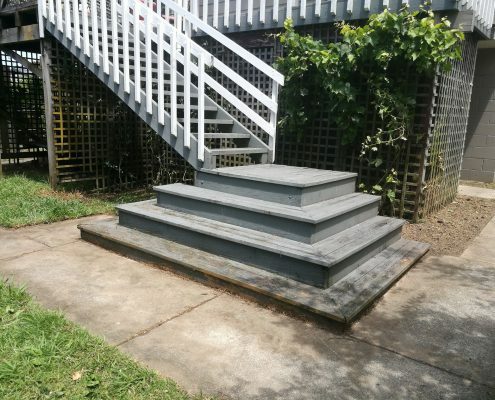 A pre-sale makeover in Mt Eden where, over a total of 95 work hours, our team of fairies and gnomes made quite a few changes. 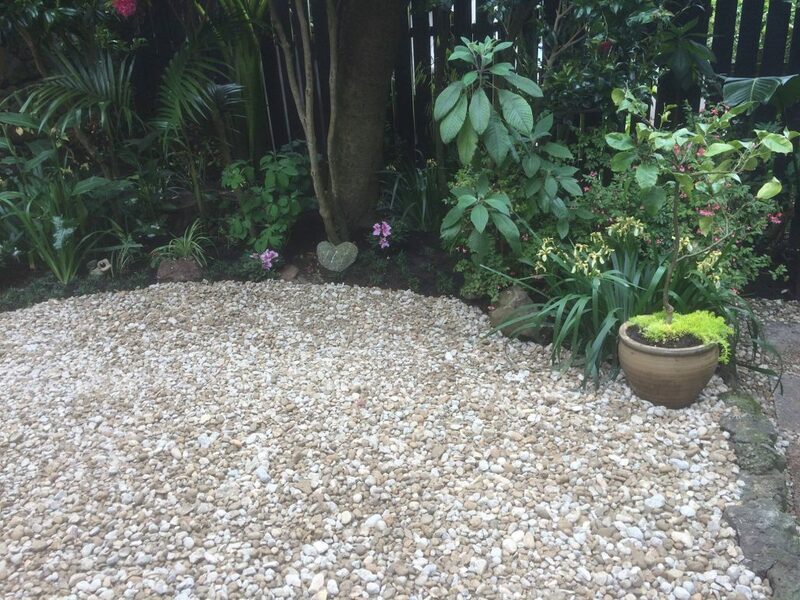 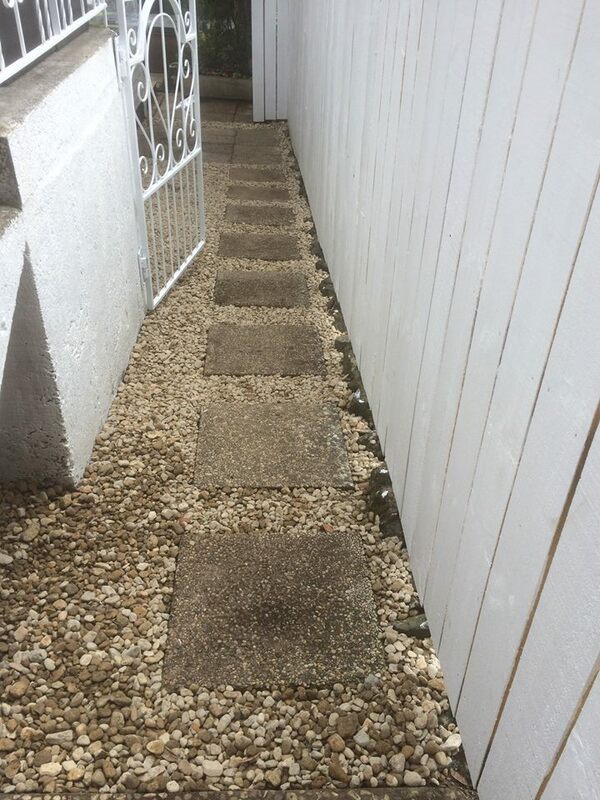 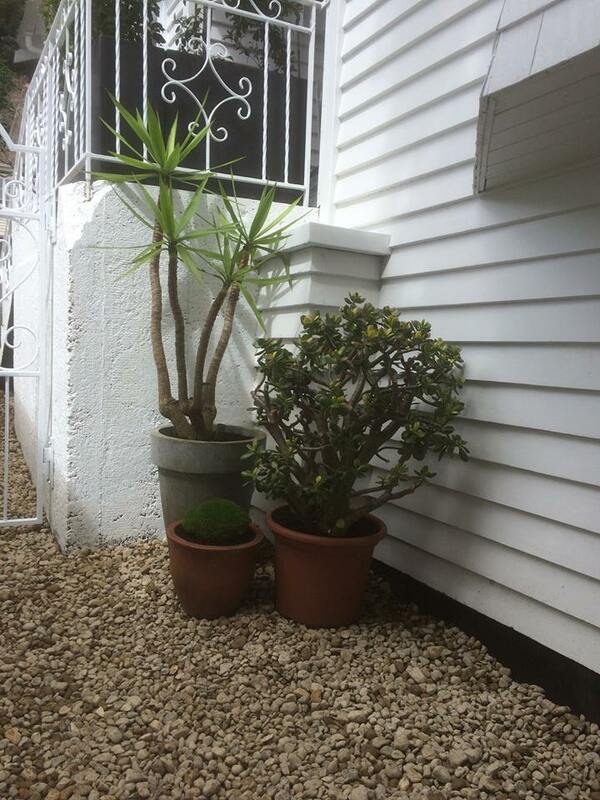 Lightening and brightening with some Waikato fleck and pebble pavers surrounding a super cute home. 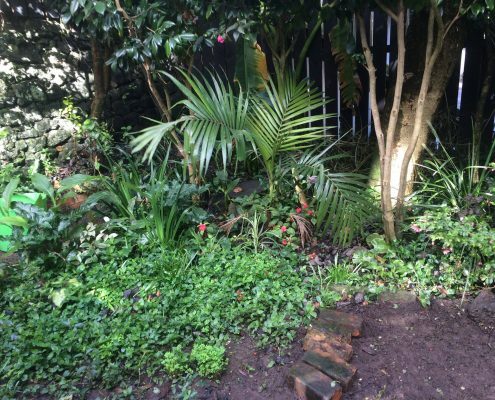 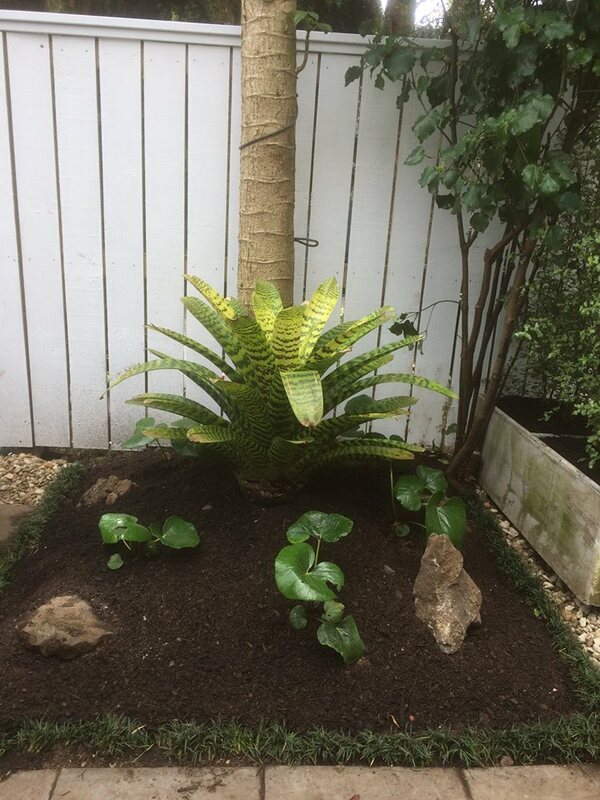 A real mixture of plants used in this mostly shady garden…camellia, ferns, bromeliads, port wine magnolia, mondo grass, astelia, to name a few!